With the exception of the SSD and Windows 7's unfortunate lack of elegant DPI scaling, the Zenbook Prime is the epitome of Ultrabook perfection. 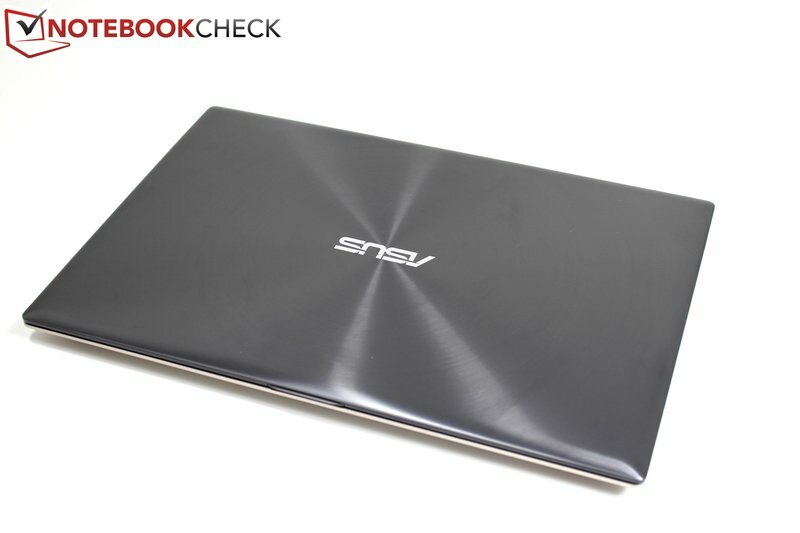 It has all of the build quality that we loved about the original Zenbook, with almost none of the quirks. The display is truly in a league of its own. Color reproduction, brightness and contrast are all exactly where they need to be. 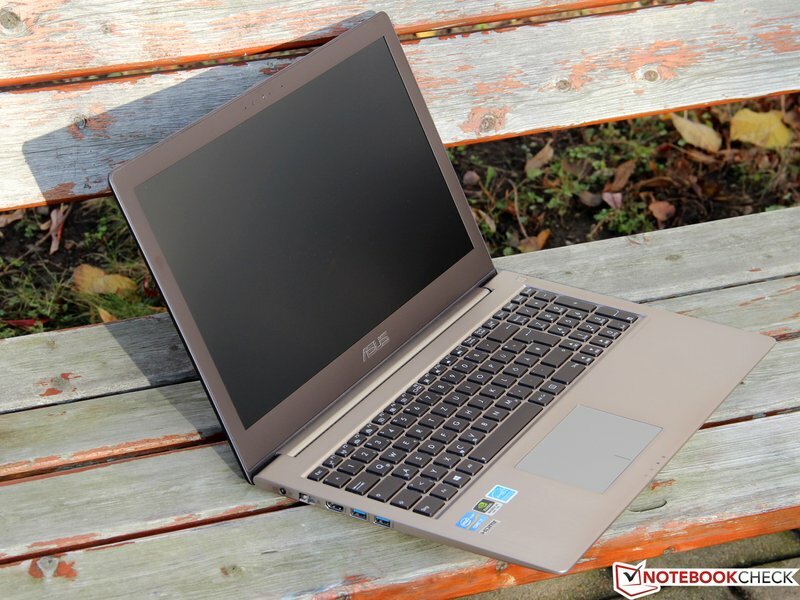 When it comes to pricing the ASUS Zenbook Prime UX31A-DB51 that we showed you in this review can be found for $1049.95.The original ASUS Zenbook UX31E-DH52 is $997.92 shipped, so to get all these improvements for about $50 more is amazing. The UX31A has so many improvements over the original UX31E that there really is no choice to make. 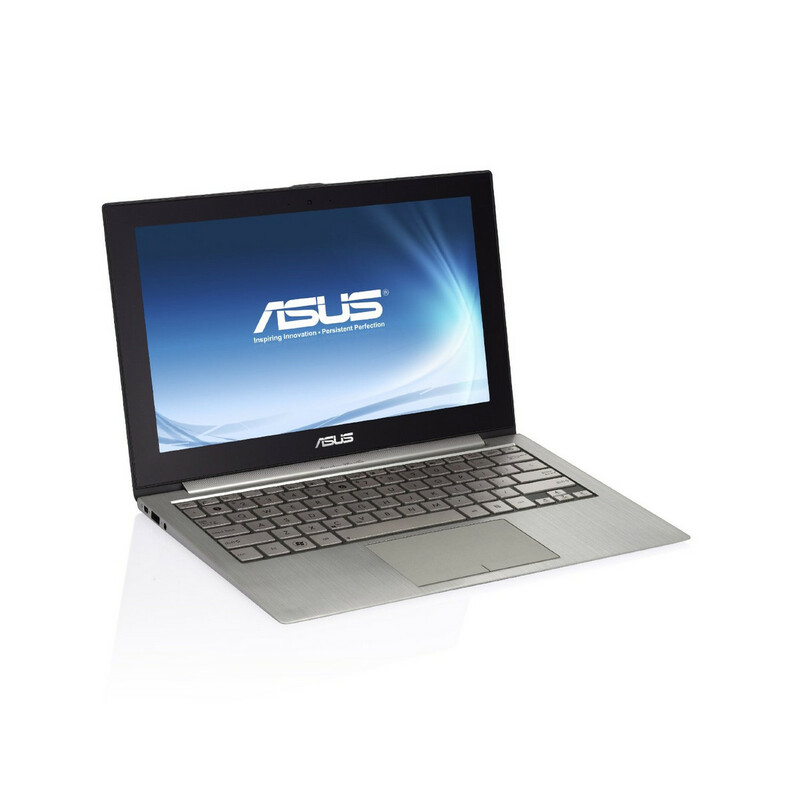 The ASUS UX31A has numerous features that are superior to the UX31W and is the Ultrabook to buy. There are two primary viewpoints on the UX31A, and both are valid. On the one hand you’ll find people saying, “$1400 for that!? That’s way too expensive when I could buy a substantially faster system for less money!” This is more or less the refrain we’ve heard in regards to most ultraportables since their inception—just ask Anand about his college experiments with various $2000+ ultraportables. The Asus Zenbook was one of the first entrants in the new ultrabook category when it launched in late 2011. We liked that original system, despite a few serious flaws, and the all-metal design marked it as a direct competitor to the MacBook Air.Stuck between a budget model and a high-end, feature-filled model, this middle Asus Zenbook is a slim, slick ultrabook, but also a tough sell. 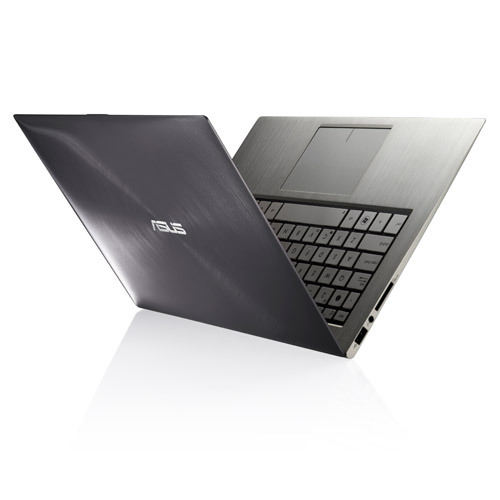 Do we like the Asus Zenbook Prime UX31A? Oh yes, in fact we love it. It has superb build quality, one of the most elegant and attractive designs on the market and that 1080p IPS display will spoil you. The MacBook Air's display will be a let down, and even the super color-accurate Sony Vaio Z 1080p display will seem weak for viewing angles and brightness. 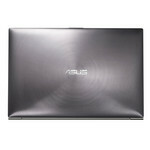 The Asus Zenbook Prime UX31A-DB51 is not perfect. At the same time, however, it's an excellent example of why you should take a closer look at ultrabooks: it's gorgeous, portable, and fun to use. Although it may not necessarily be the most muscular system out there, it's nonetheless an able performer for most daily computing tasks. 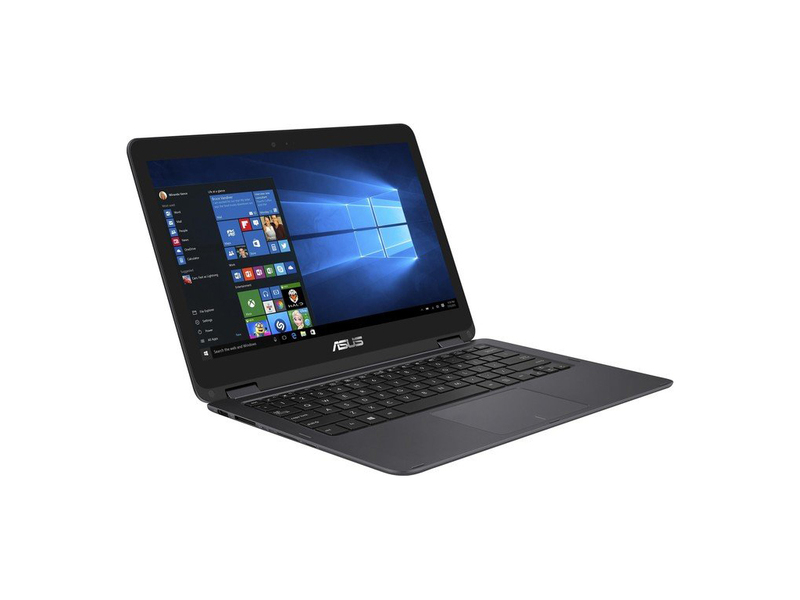 Power users looking to enter the ultrabook fray, on the other hand, should check out new Editors' Choice for ultrabooks, the Asus Zenbook Prime UX32VD-DB71 ($1299 list, 4 stars), it has the same screen, but it sits at the top of its class thanks to its robust Intel Core i7-5317UM 1.7GHz and discrete 1GB Nvidia GeForce GT 620M combination. 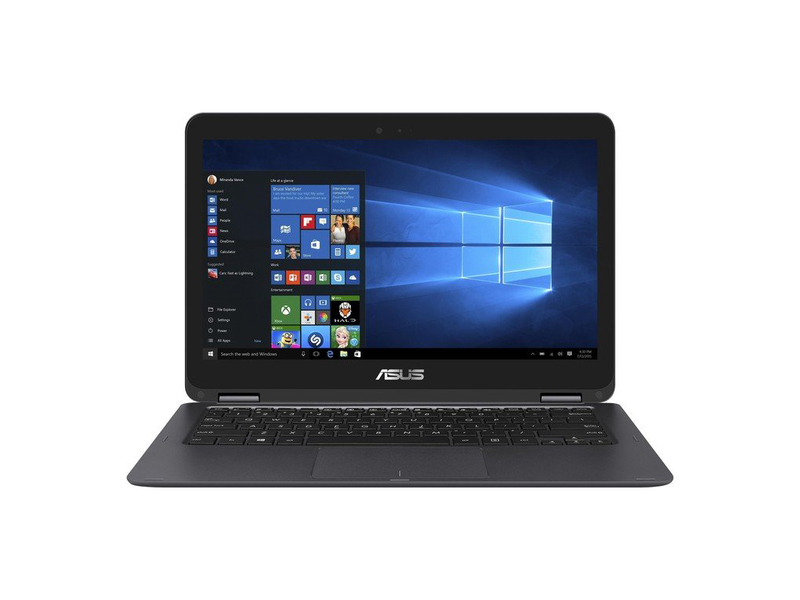 For everyday users though, the UX31A-DB51 is a great option, though it's worth reiterating my original caveat that smart shoppers should ascertain whether the virtually identical Asus Zenbook Prime UX31A-R5102F is on sale before making their final decision. 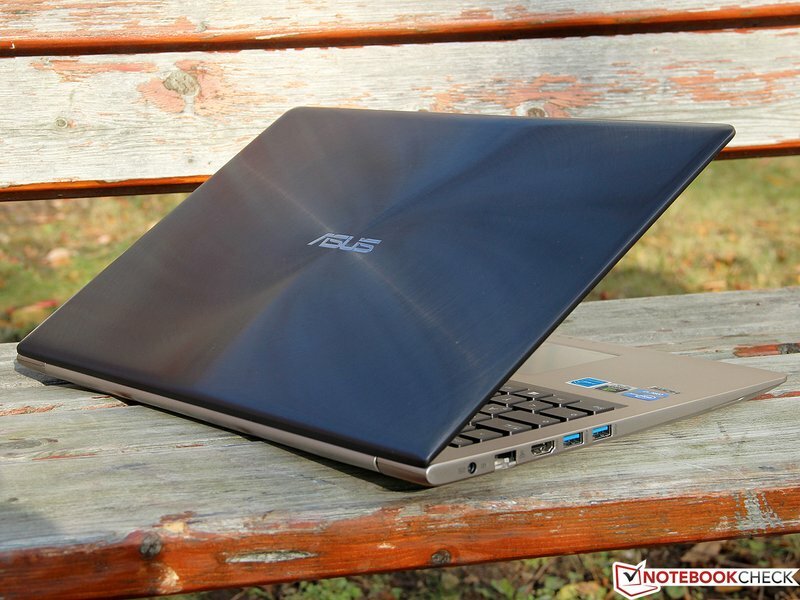 I’m not sure if the Zenbook Prime is the best of the new wave of Ultrabooks, but it’s definitely one to watch for. It’s got great build quality, a few small but noticeable upgrades in the keyboard and audio, and a display that is definitely superior to any of the Ultrabooks I’ve seen so far. The 13.3-inch version of the Zenbook Prime with a 128GB SSD is estimated to cost around £1000 when it goes on sale next month, and that price includes the full HD IPS display. You can tack on another couple hundred quid for a 256GB SSD and more powerful processor, and all configurations include 4GB of RAM. Pricing on the 11-inch model has not yet been determined. 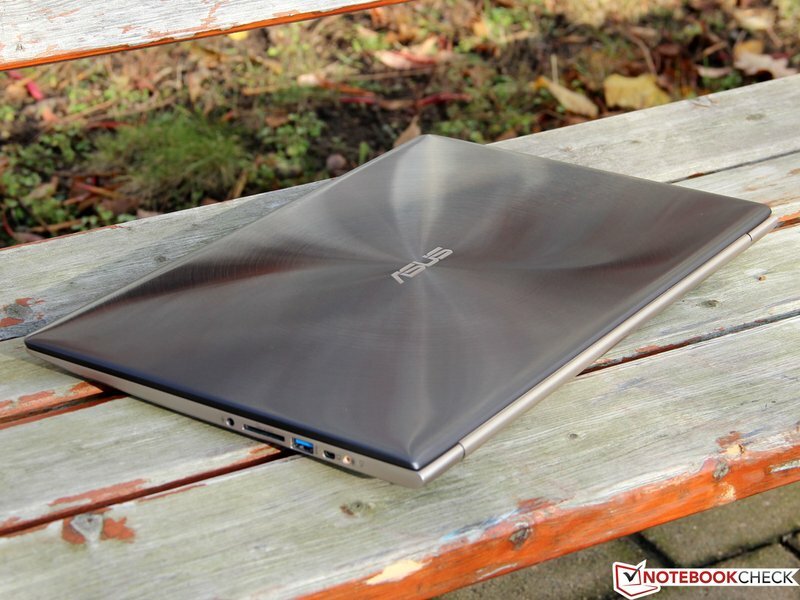 I’m not sure if the Zenbook Prime is the best of the new wave of Ultrabooks, but it’s definitely one to watch for. It’s got great build quality, a few small but noticeable upgrades in the keyboard and audio, and a display that is definitely superior to any of the Ultrabooks I’ve seen so far. The 13.3-inch version of the Zenbook Prime with a 128GB SSD is estimated to cost around $1099 when it goes on sale next month, and that price includes the full HD IPS display. You can tack on another $400 for a 256GB SSD and more powerful processor, and all configurations include 4GB of RAM. Pricing on the 11-inch model has not yet been determined. 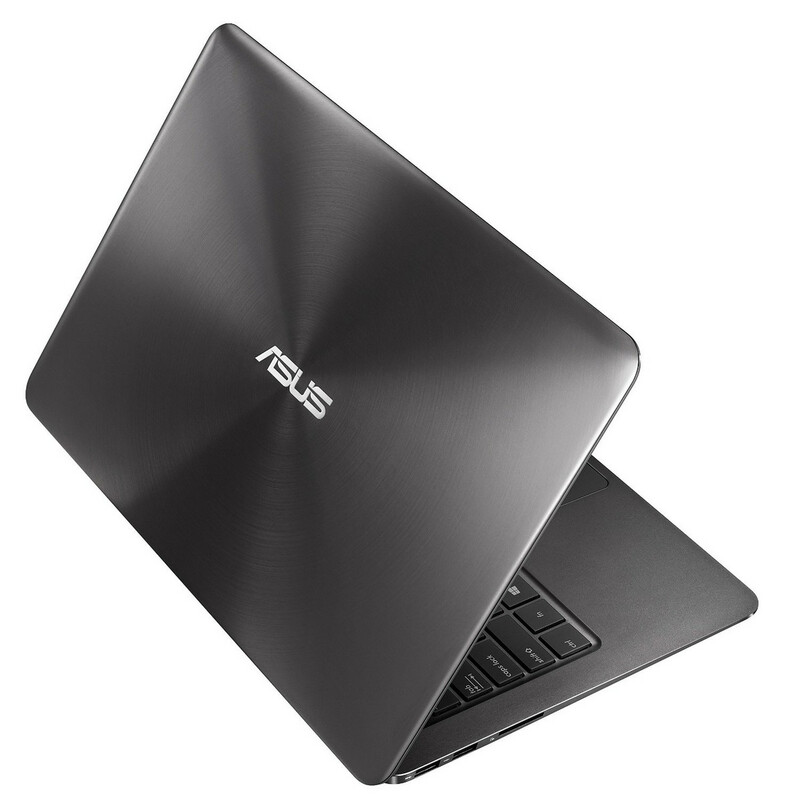 ASUS hat sich beim Zenbook Prime UX31A bemüht, sämtliche Fehler, die man in der Vergangenheit gemacht hat, zu umschiffen. Herausgekommen ist dank des äußerst konsequenten Kurses nicht mehr und nicht weniger als das bislang mit Abstand überzeugendste Ultrabook, das sich praktisch keine Schwachstelle mehr erlaubt. 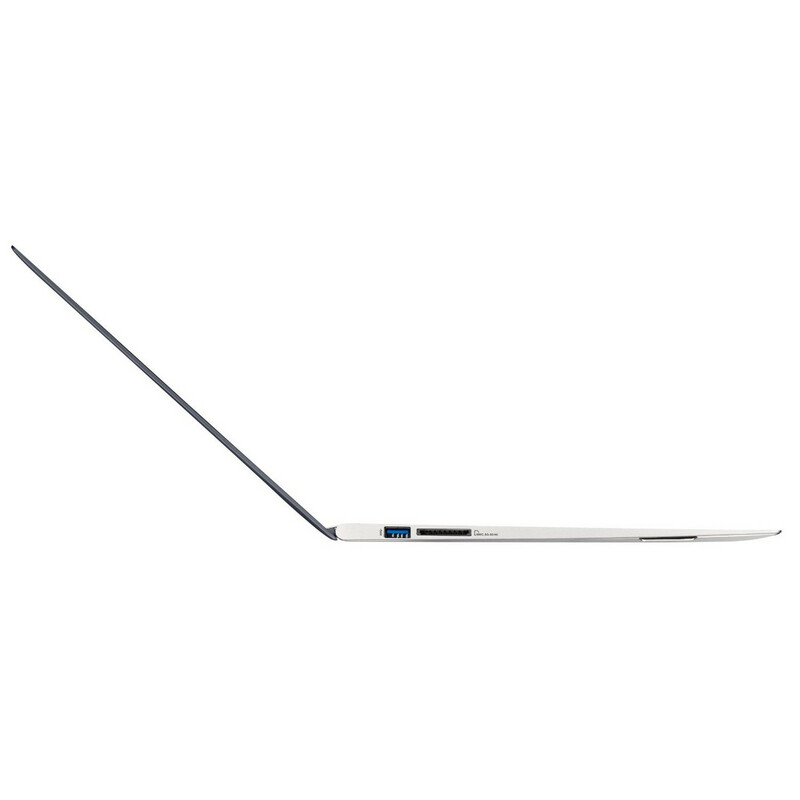 One of our few concerns with the Zenbook was its edges as when we were working with it, we felt the edges of the palm rests could be a tad smoother. Considering how fantastic of an ultrabook this is, this is a concern we can easily overlook when you factor in just how much the Zenbook gets right. 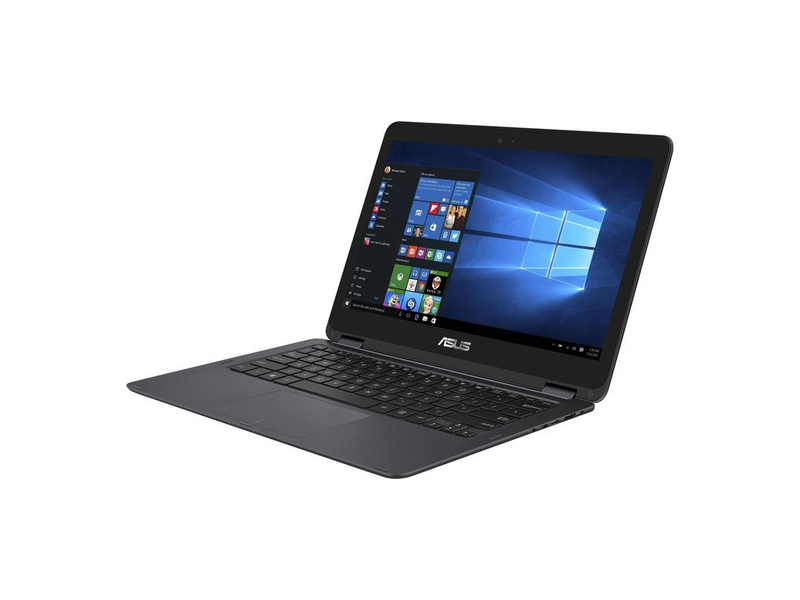 If you’re in the market for an ultrabook and can afford it, the Asus Zenbook UX31A should be high in your consideration list. The Asus Zenbook Prime UX31A is a premium computer with a price tag to match. 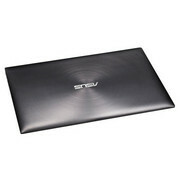 The build quality is excellent, the performance is great for an Ultrabook and the screen is top-notch. Sadly, the battery life makes you think twice about its good points when you're spending that amount of money - we're just not sure that it's worth it for all that many people. 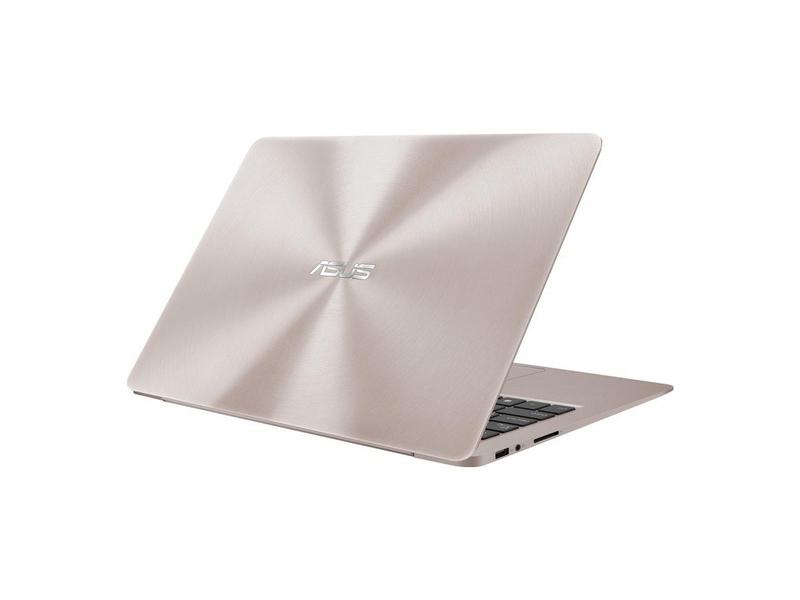 For anyone looking to get an ultrabook with a high quality display, it is tough to top when ASUS has to offer with the Zenbook Prime UX31A. The IPS panel offers great color and a resolution capable of 1080p video support. Performance is also quite strong but the storage performance is a bit below what the competition does have to offer. 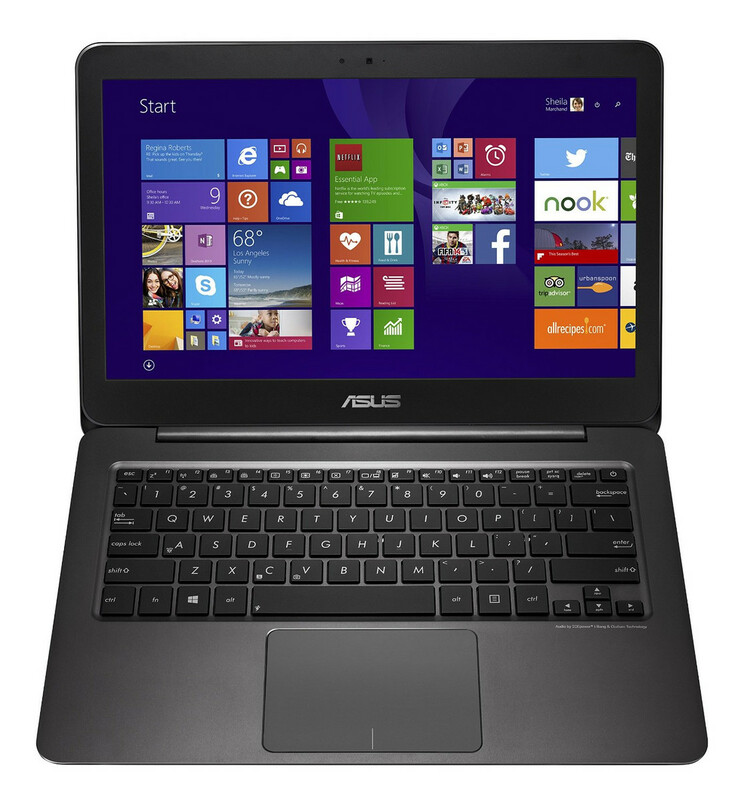 The ASUS Zenbook Prime UX31A is a great laptop in theory. It offers excellent day-to-day performance (gaming excluded), a wonderful display and respectable battery life. It fixes some problems that have continued to plague PC laptops, such as their inability to provide a display on par with the best tablets. All in all, both the Acer Zenbook Prime UX31A and the Acer Aspire S5 are premium 13.3 inch ultrabooks. In fact, they are some of the best you can get in this class, budget aside. The Acer does have a couple of tricks, like the thin and light body, classic looks, fast SSD and the unique MagicFlop port cover. Both overall the Asus Zenbook is the better pick in my eyes, as it not only looks and feels better, but it also bundles a better keyboard and display, plus lasts slightly longer on a charge. All those while going for basically the same price as the Acer right now. 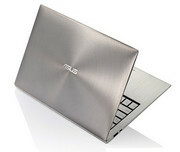 Be in no doubt, the Asus remains a great all-round Ultrabook. The Full HD display is as good as they come, the design is simply gorgeous, and both performance and battery life are without fault. The issue is with the competition: with rival models also delivering solid all-round performance, if not the pixel-perfect display, for hundreds of pounds less, the Zenbook Prime UX31A looks to have priced itself out of the market before it's even got off the ground. 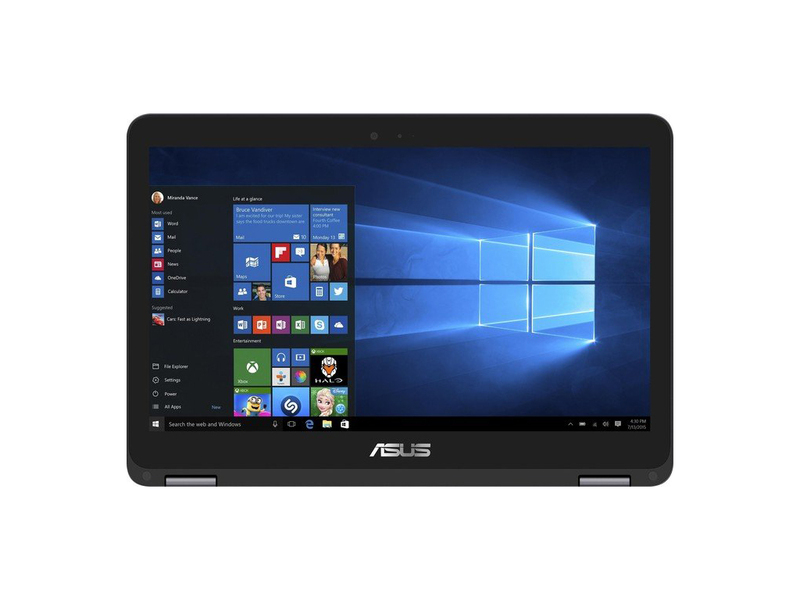 The Asus Zenbook Prime UX31A, to give it its full meatier moniker, is a 13.3-inch notebook (there is also a 11-inch version – the UX21A), which boasts a mightily impressive Full HD, 1920 x 1080, IPS matte display with an impressive 178 degree viewing angle. Priced at AED 6299, the ASUS Prime is definitely the Ultrabook that an enthusiast will be looking at. 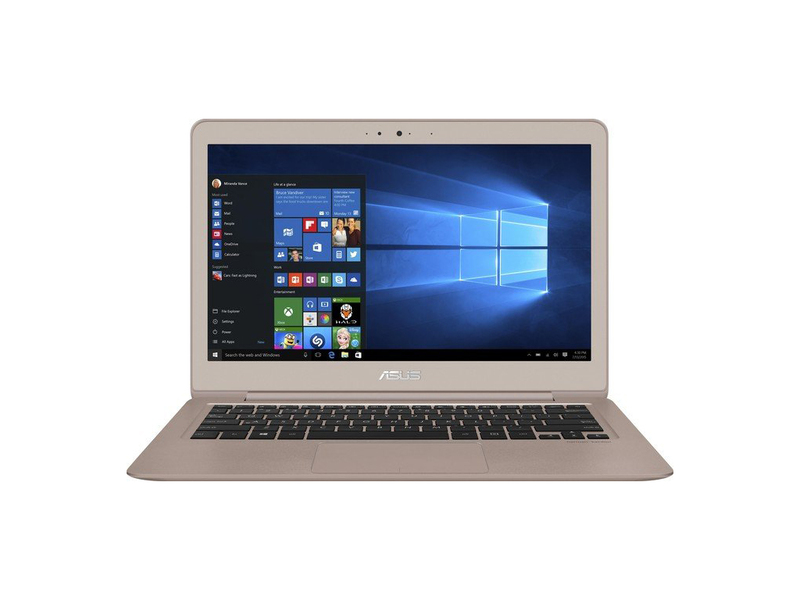 With it’s full-HD 1080p IPS panel, it offers a display unlike any other Ultrabook and combine that with the speedy Core i7 CPU and a decent battery life and you pretty much have a clear winner in the higher-end of Ultrabooks. The fan noise is a bit of a shame but that doesn’t stop me from awarding the UX31A with our Editor’s Choice award. 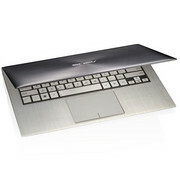 If I was getting an Ultrabook- this would be it. 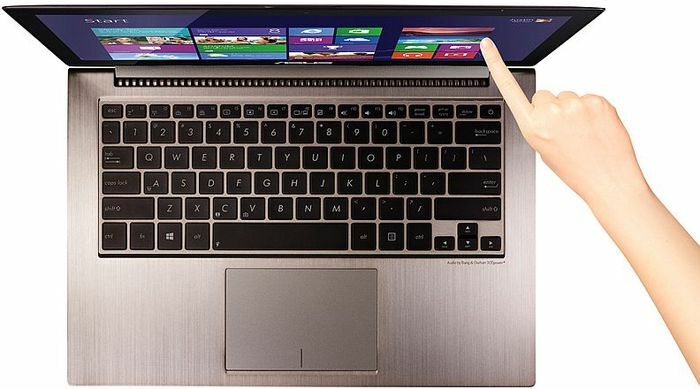 Positive: New platform Ivy Bridge; IPS screen; Wireless-N with Bluetooth 4.0 dual channel; Power management technology. 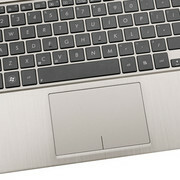 Positive: Full HD-resolution and matte IPS screen; stylish aluminum case; new Ivy Bridge CPU; backlit keyboard. Positive: Incredibly quiet cooling and low operating temperatures; High-end IPS display; Resistant mechanical processing; Comfortable keyboard. Negative: The LCD, minimum brightness is still strong; Creaking keyboard. 87% Ultrabooks: Jetzt aber schnell! Das keilförmige Aluminiumgehäuse sieht elegant aus, ein Nachteil ist allerdings die scharfe Kante an der Handballenablage, die bei großen Händen stört. 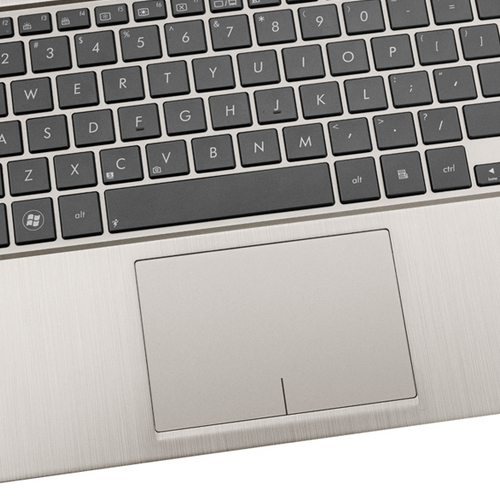 Das Keyboard besitzt nun beleuchtete Tasten, das präzise Touchpad ist mit einem Durchmesser von 12 Zentimetern sehr groß. 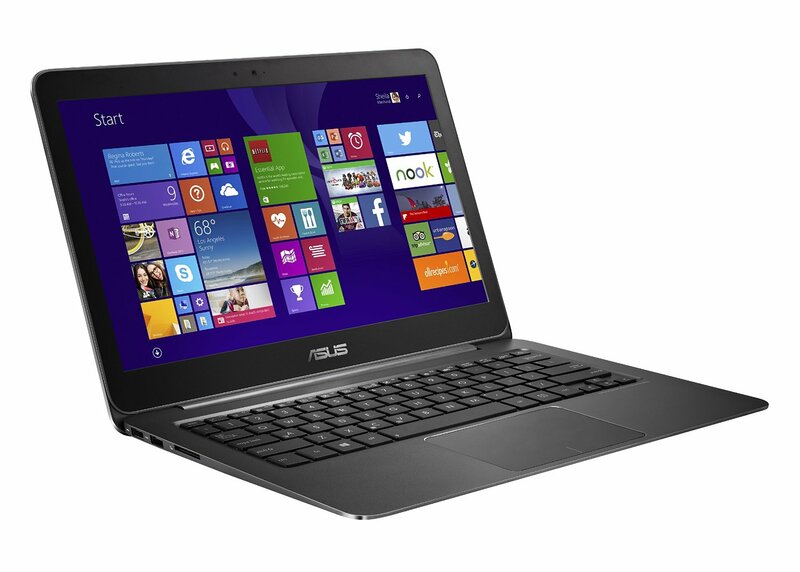 Das Asus Zenbook UX31A ist ganz nah dran am Macbook Air - auch beim Testergebnis. Bei einigen Kriterien - zum Beispiel dem Bildschirm - kann es das große Vorbild sogar überflügeln. 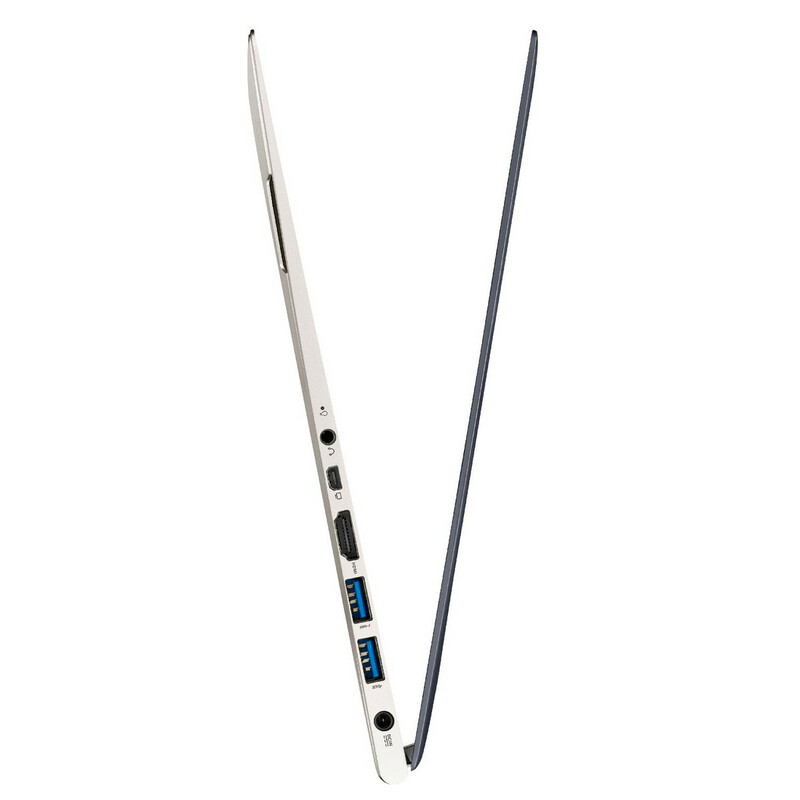 Wenn das Zenbook eine Macbook-Air-Kopie ist, dann eine sehr gute: Das reicht, um derzeit das beste Windows-Ultrabook zu sein. 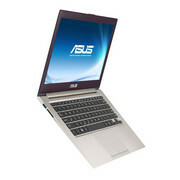 Das Asus UX31A hat eines der besten, wenn nicht sogar das beste 13,3-Zoll-Display auf dem Notebook-Markt verbaut. Die Full-HD-Auflösung auf dem kleinen Display sorgt für eine hohe Pixeldichte und sorgt für ein scharfes Bild. Zudem bleiben die Farben aus jedem Blickwinkel unverändert und die Helligkeit wird dabei nur geringfügig eingeschränkt. When ASUS first released the UX31E last fall, we found plenty to like in its striking design, high-quality display and brisk performance. The addition of backlighting and a more comfortable keyboard -- not to mention the step up to Ivy Bridge and Intel HD Graphics 4000 -- makes the whole package considerably better. 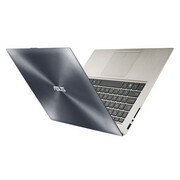 But that doesn't mean the Zenbook Prime UX31A is now the best. Im Prinzip schafft Asus mit dem Zenbook Prime UX31A-R4003V fast das Ideal-Ultrabook: faszinierend schönes Design, extrem hochwertige Verarbeitungsqualität, herausragendes Display, hohe Leistung und gleichzeitig lange Laufzeit. Dazu eine fast perfekte Ausstattung, in der wir im Prinzip nur ein UMTS-Modul vermissen. Das ASUS Zenbook Prime UX31A-R4003V kann seinen gelungenen Vorgänger noch einmal übertreffen und bietet in allen Bereichen Verbesserungen, vergisst dabei aber nicht seine alten Stärken. Das 13,3-Zoll FullHD-IPS-Display ist mit einer Ausleuchtung von über 369 Candela pro Quadratmeter bestens für Außeneinsätze gerüstet. Die Tastatur bietet nun eine integrierte Hintergrundbeleuchtung und einen deutlich besseren Druckpunkt. The Asus Zenbook UX31A represents an incremental evolution over the original UX31E, but the improvements are welcome. 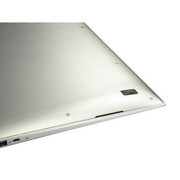 The Ivy Bridge CPU and high resolution panel finally realizes the potential of the sleek chassis. 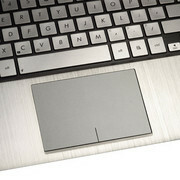 The touchpad is much improved, though the keyboard is the same flat, Chiclet style. The real star of the show, however, is the 1080p LCD display. Editing photos or viewing movies on the system is a real treat, and made better by the reasonably good built-in speakers. The UX31A is not without quirks, like the oddly partitioned storage system. 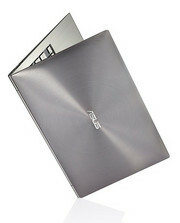 But overall, the new Zenbook represents a near-pinnacle of the Ultrabook design. 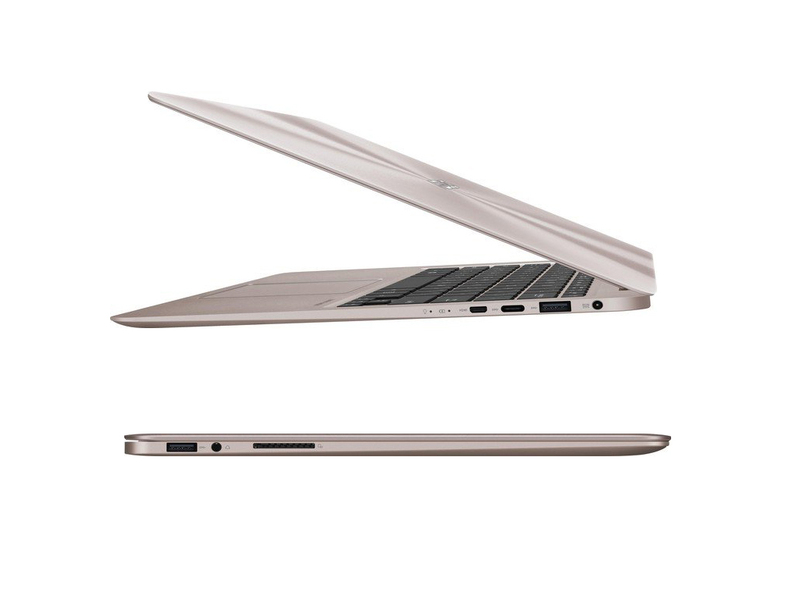 It performs well, is super-slim and light, and looks fabulous. 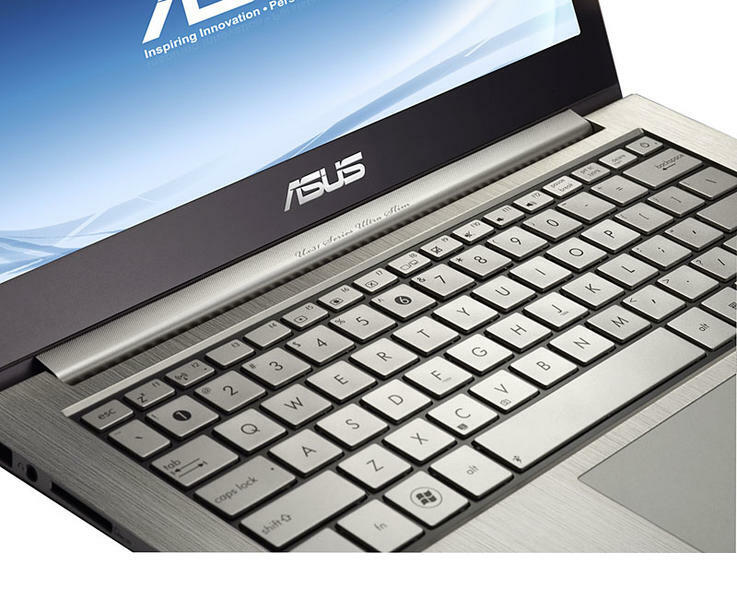 Quite a laptop then from Asus. 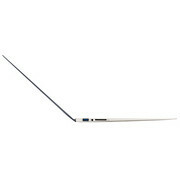 We can’t think of a much better Ultrabook right now, particularly for those who are after a really top quality screen. In fact at £1499 it even makes a viable cheaper alternative to the more expensive MacBook Pro with Retina Display. 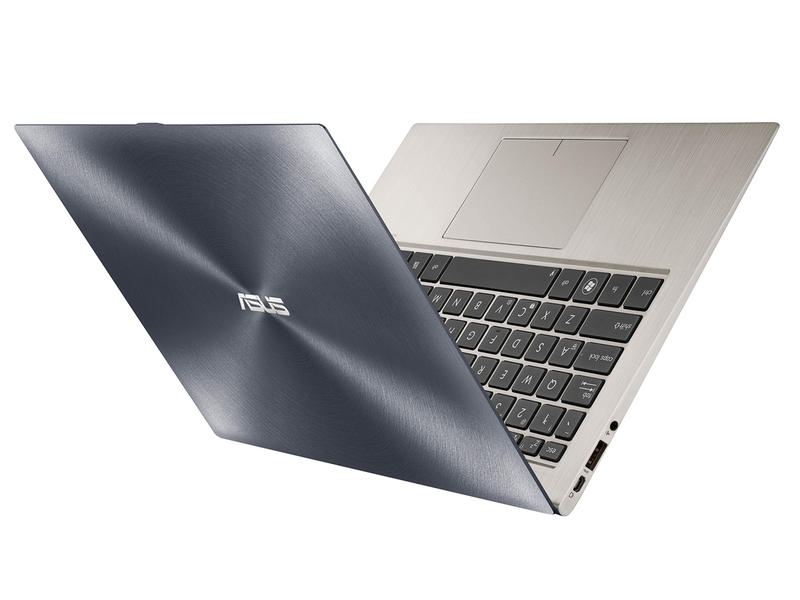 After the UX31E and UX21E, Asus is releasing the Zenbook Prime UX31A, the crowning jewel of its second generation of ultrabooks. 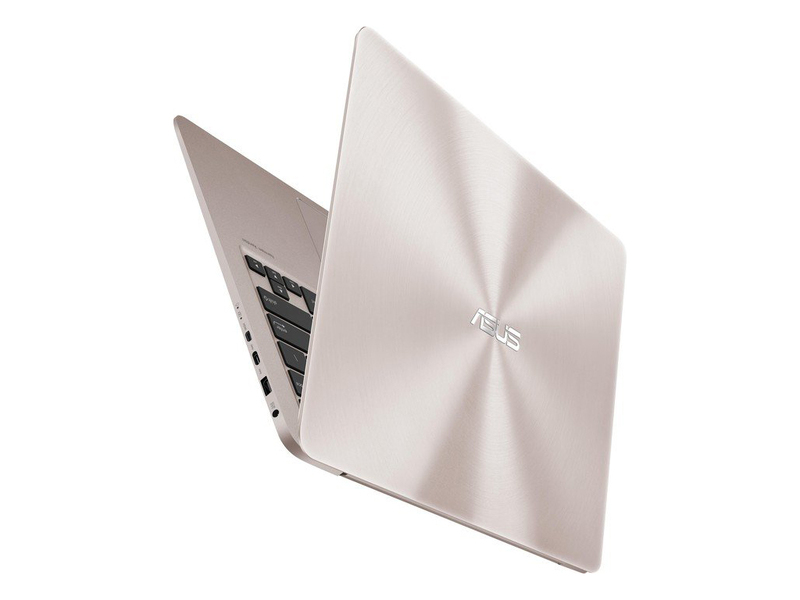 While in terms of power, battery life and finishing not much has changed since the excellent UX31E, the Zenbook Prime UX31A adds a second USB 3.0 port and, most importantly, a superb, matte, Full HD IPS display. That bumps it up to the coveted five stars. Excellent overall performance and a stunning screen are just two important features that the ASUS Zenbook UX31A brings to the table. 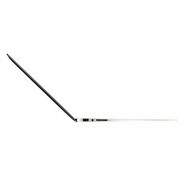 It's thin, light, has a backlit keyboard and its battery life is impressive. 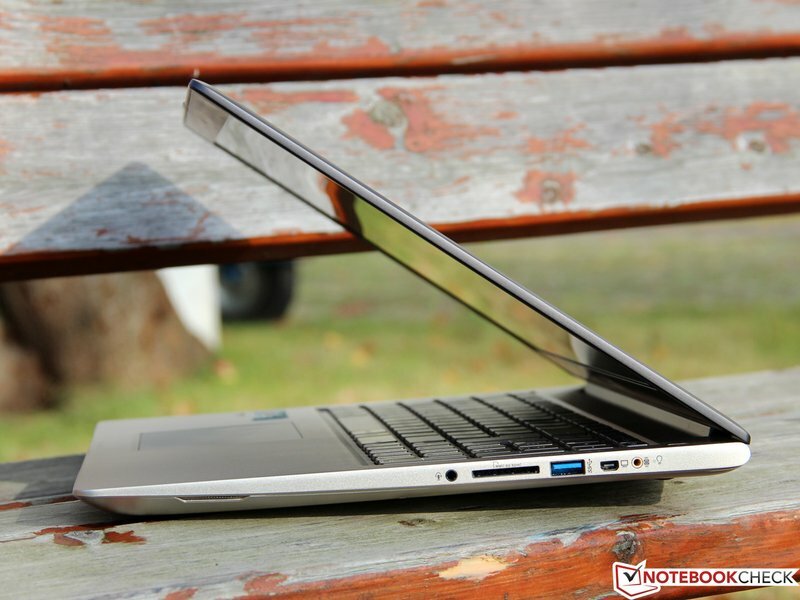 It still isn't perfect, and our primary gripe with this model is its touchpad, but it doesn't overshadow the strong Ivy Bridge-based configuration and the beautiful IPS-based screen. 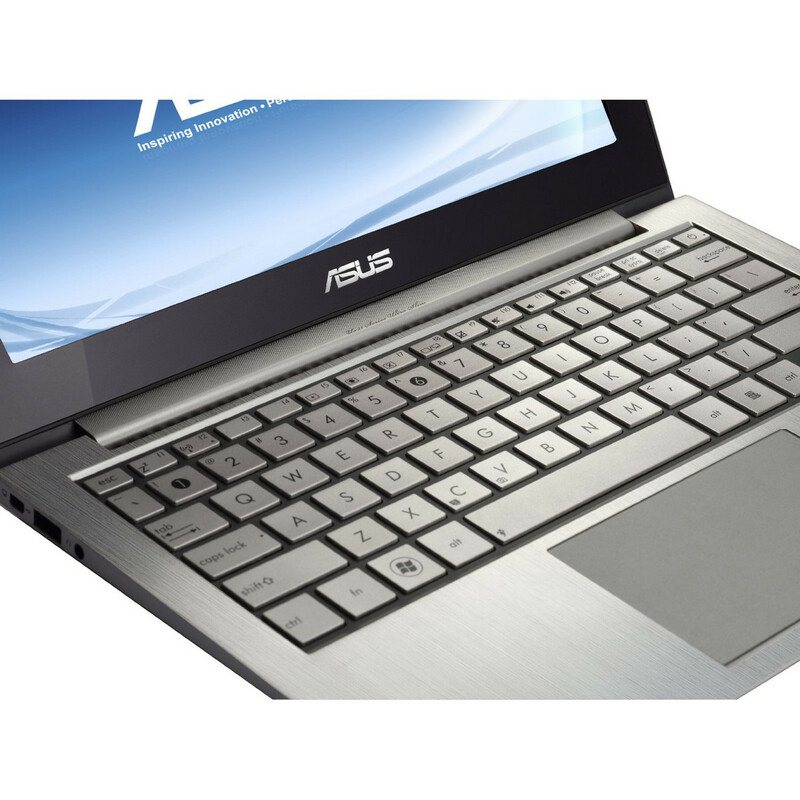 A lot has happened since the first Zenbook came on the scene. 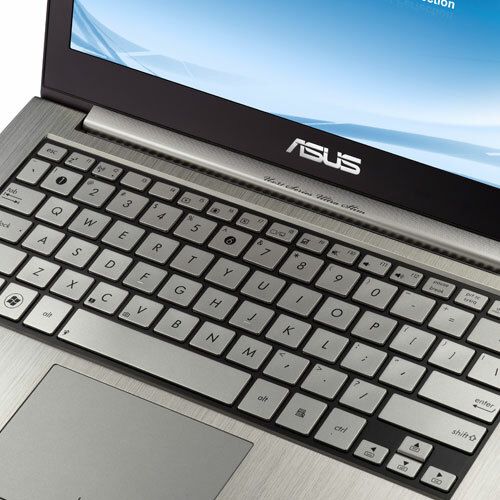 Asus has updated the gorgeous design with a high-resolution display, more comfortable keyboard with backlight, and new hardware, making an impressive machine all the better. But the competition hasn't been sitting still, and there are several models that offer better battery life, better port selection, and larger storage capacity. 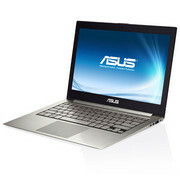 The best of these competitors actually comes from within the Zenbook family. 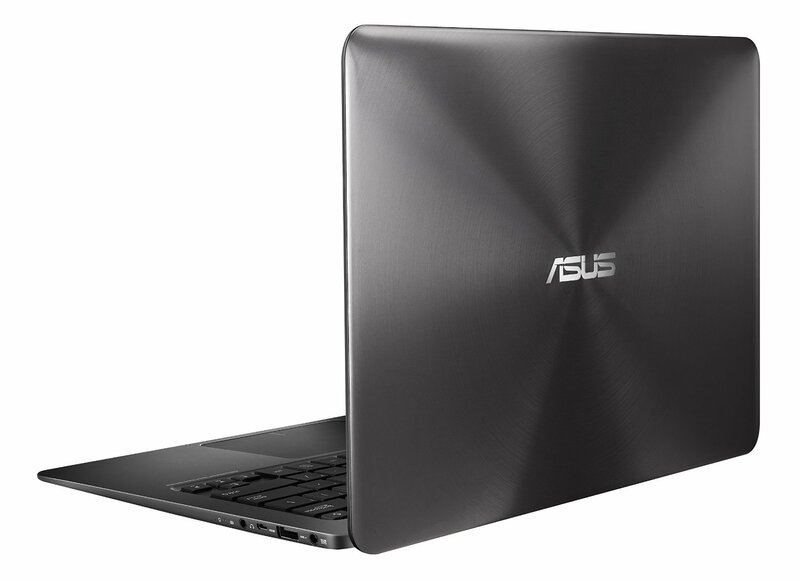 Zum Preis von rund 1200 Euro bietet Asus mit dem Zenbook Prime UX21A ein einzigartiges 11,6-Zoll-Ultrabook an, das sich nur wenige Schwächen leistet. Das herausragende Alleinstellungsmerkmal des Zenbook Prime UX21A ist sein sehr helles, mattes und kontraststarkes IPS-Display mit exzellenten Blickwinkeln und Full-HD-Auflösung. Positive: High performance; decent battery life; well-designed; magnificent display. 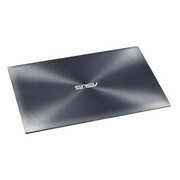 Negative: Poor conectivity; not good touchpad. 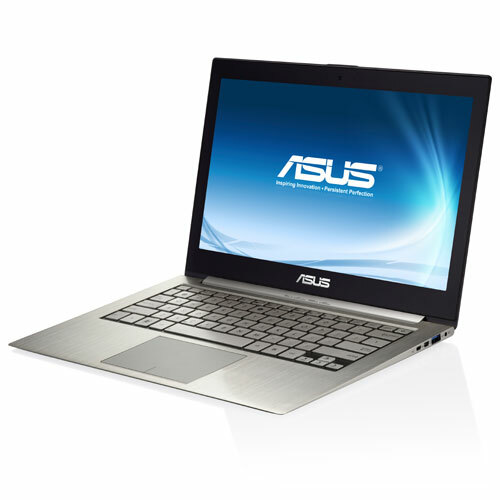 The Asus Zenbook was one of the first entrants in the new ultrabook category when it launched in late 2011. We liked that original system, despite a few serious flaws, as the all-metal design marked it as a direct competitor to the MacBook Air. Asus makes some of the most full-featured ultrabooks available, but this stripped-down Zenbook UX32A version is missing those extras and faces tough competition in its price range. The UX31A is not without quirks, like the oddly partitioned storage system. But overall, the new Zenbook represents a near-pinnacle of the Ultrabook design. 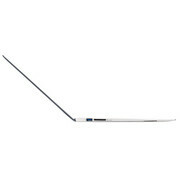 It performs well, is super-slim and light, and looks fabulous. 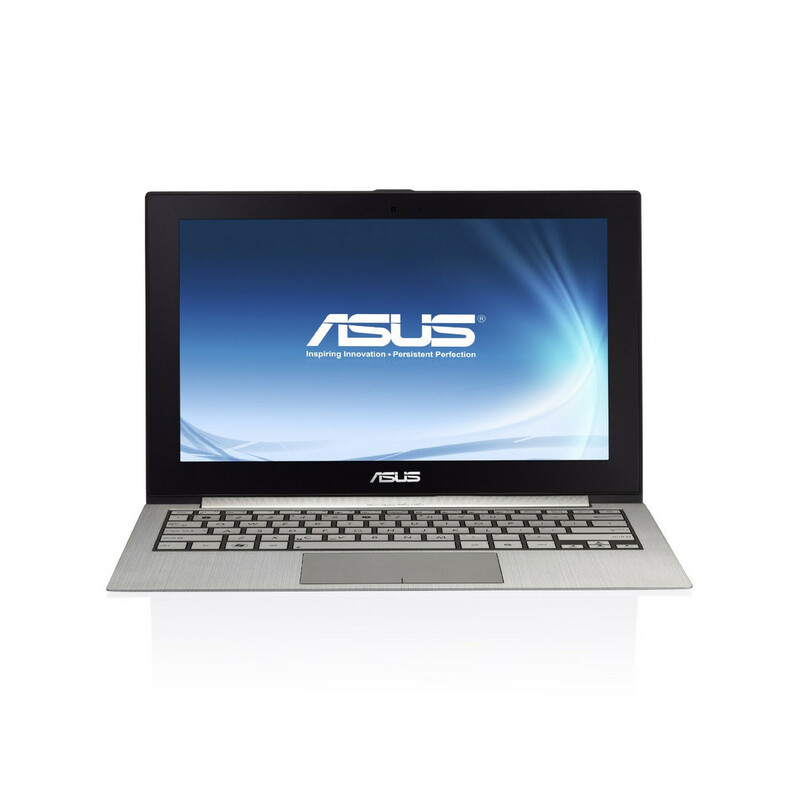 Quite a laptop then from Asus. 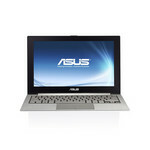 We can’t think of a much better Ultrabook right now, particularly for those who are after a really top-quality screen. In fact, at £1499 it even makes a viable cheaper alternative to the more expensive MacBook Pro with Retina Display. If you can get round these issues, then there is a very impressive piece of kit here which will definitely turn heads with its looks. We can’t help but think that waiting for a sequel might be worth it however, as Asus might finally get the trackpad right. 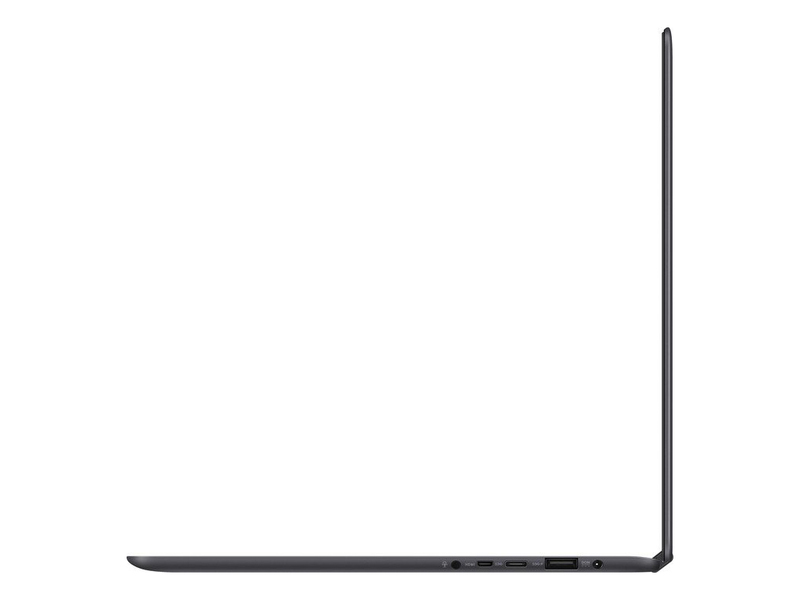 In the end, I can state that I’m glad to call the Zenbook Prime UX31A my new favorite ultrabook, so I’ll be adding it to my list of best available ultrabooks very soon. 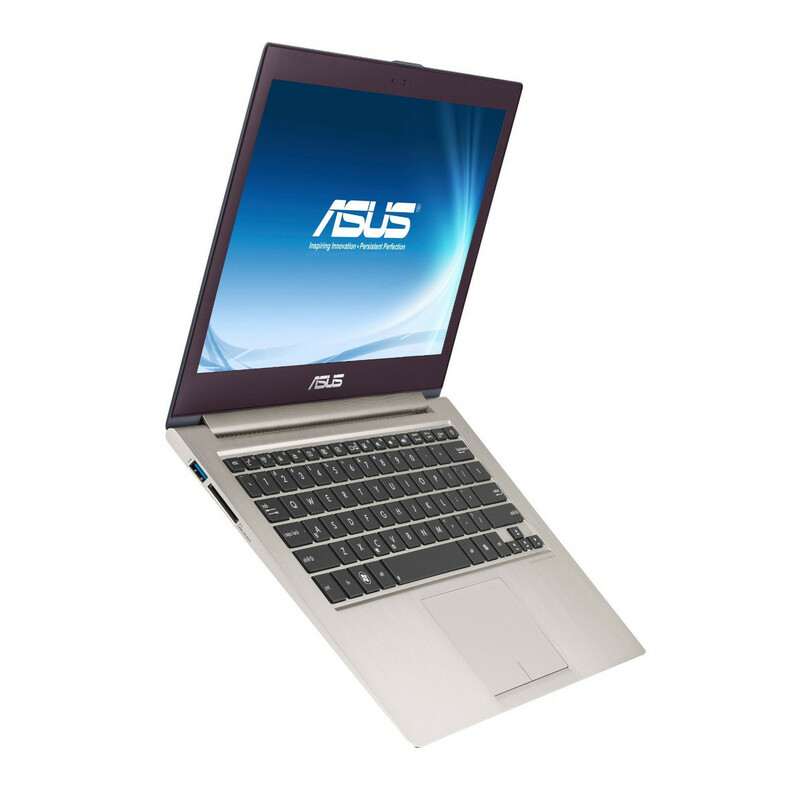 I’m also happy to see that Asus listened to their customer’s complaints about their first generation ultrabooks and managed to address almost all of them with the new laptop, improving the keyboard, trackpad and screen, while upgrading it to the latest Intel hardware platforms. Positive: Easy-to-read LCD display; viewing angle is very good; good touchpad; light weight. 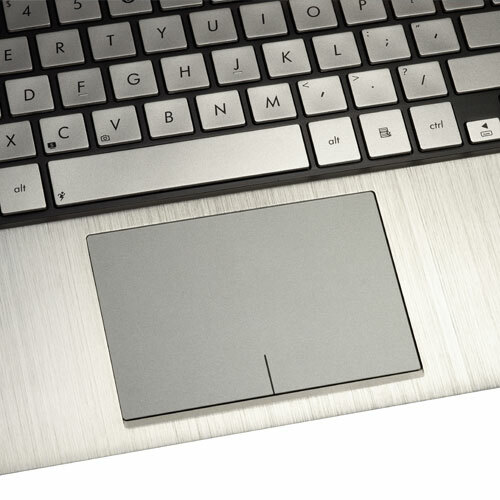 Negative: Higher overall temperature around the keyboard. The ASUS ZenBook UX32 is a recommendable Ultrabook; it has the right mix of quality and features. 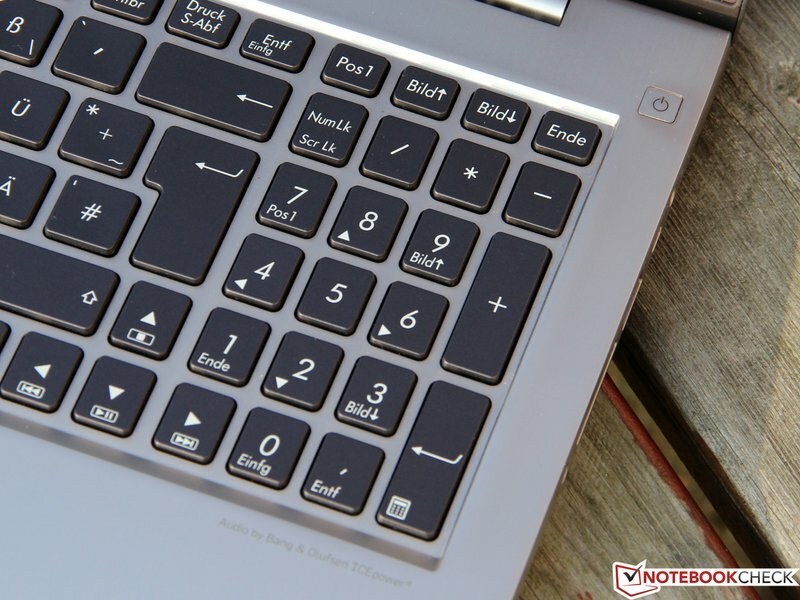 The display is pleasantly of good quality despite having just a 1366x768 resolution; the keyboard has the best feel of any Ultrabook we've tried and the touchpad is excellent; it even has decent speakers. One area where this notebook could improve is in performance; the included hard drive/small SSD combo while innovative (most Ultrabooks have limited storage space since they only have SSDs) is slow and the UX32 like most Ultrabooks can't be upgraded. Asus’ cut-price Zenbook is some way from perfection: that touchpad still doesn’t quite convince, and the low screen resolution is a major turn-off. Yet, at £800 inc VAT, the Zenbook UX32A’s foibles are largely easy to forgive. If your budget can’t quite stretch to pricier models with high-resolution displays, then the Zenbook UX32A gives a value-packed taste of the high-end for a little less than most. 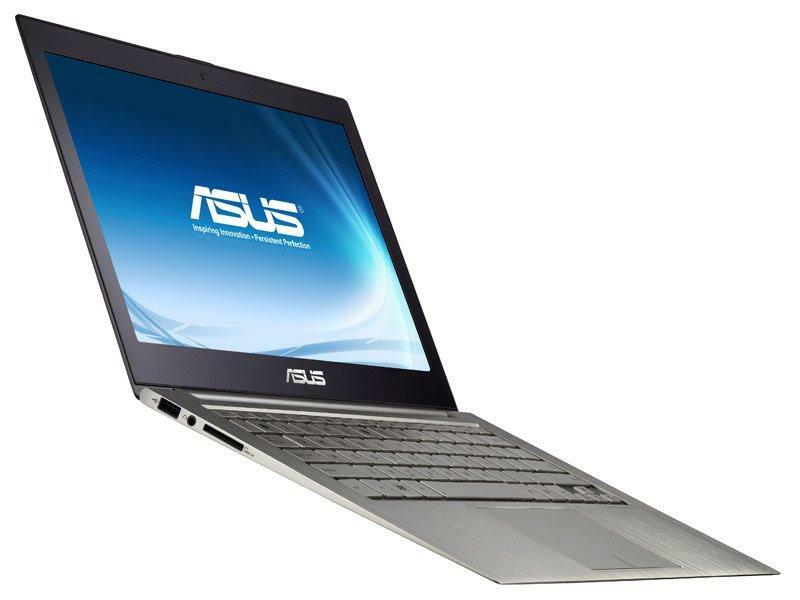 The Zenbook UX32A is a solid Ultrabook – thanks to the remarkably attractive design and the addition of an Ivy Bridge chipset. 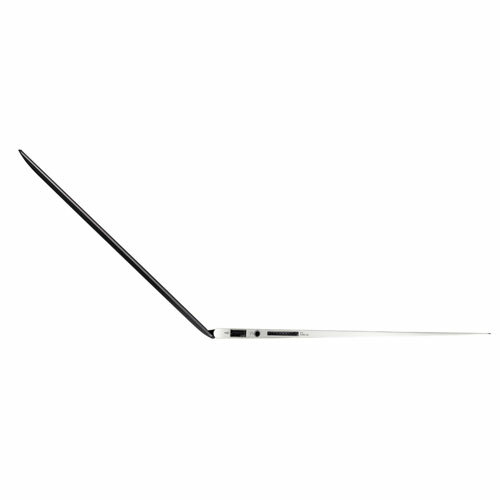 Ultimately though, if you're on a budget and looking to make the step up from a cumbersome laptop to a gleaming new Ultrabook, you won't find many better options than this one. 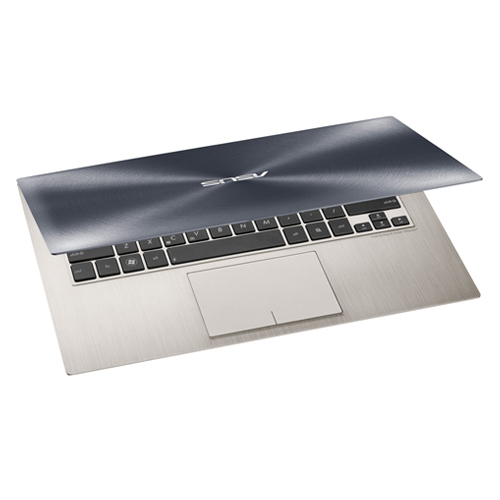 Der gegenüber den MacBook Air Modellen konkurrenzfähige Vorgänger des ASUS Zenbook Prime UX21A wurde wesentlich verbessert, die Neuauflage kann sich nun deutlich absetzen. Der Hersteller hatte ein offenes Ohr für Kundenfeedback und packt nicht nur aktuelle Hardware sondern auch ein hervorragendes Display und sehr gute Eingabegeräte in das nach wie vor edle und hochwertige Chassis. Full-HD-Zwerg. 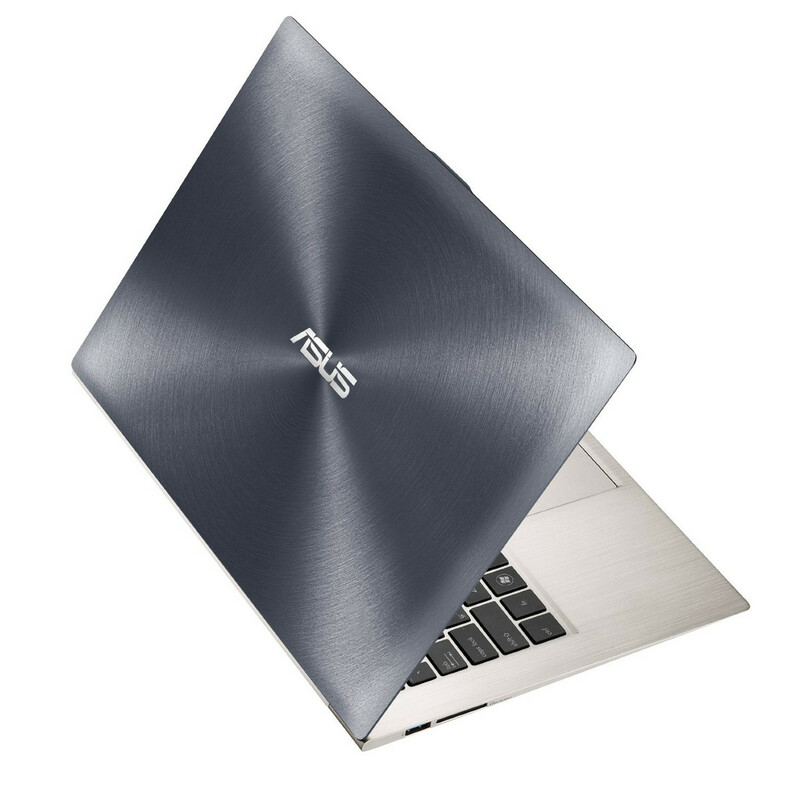 So darf sich das Asus Zenbook Prime UX21A freilich nennen. Der 11,6-Zoll-Bildschirm löst mit 1920 x 1080 Pixel auf und hebt sich damit von den Konkurrenten ab. Die weiteren Eckdaten sind ebenfalls interessant: Intel Core i7 Ivy Bridge Dual-Core-Prozessor, SSD-Speicher, eine Tastatur mit Hintergrundbeleuchtung und ein stabiles Aluminium-Chassis. Positive: The matte display with high-quality IPS panel; amazing definition; high quality sound. 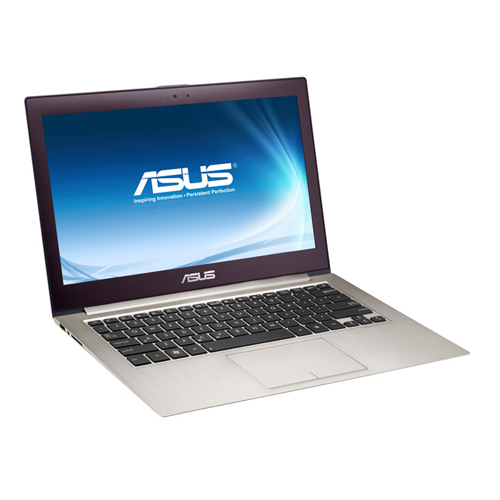 The ASUS UX51VZ is a well-rounded 15.6-inch notebook that's ultimately a bit too expensive. There's little to actually complain about; at the top of the list is the lack of a touch-enabled display and always-audible cooling fans; it also gets a bit warm under full load and has just a one-year warranty. Otherwise we like what we see; the UX51VZ packs an incredible amount of power into a thin chassis including a quad-core processor, dedicated Nvidia graphics card and dual SSDs. The IPS display is beautiful and has an appreciated anti-glare surface. The backlit keyboard has a good feel and is quiet like the clickpad. The build quality is good but not exceptional. Lastly let's not forget about the excellent Bang & Olufsen speakers and very good battery life. It seems like there just aren't a lot of options when it comes to premium larger-screen Windows 8 laptops. 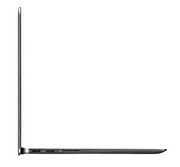 And those that we do see, like the Acer Aspire S7 and HP Spectre TouchSmart XT, typically don't have discrete graphics. 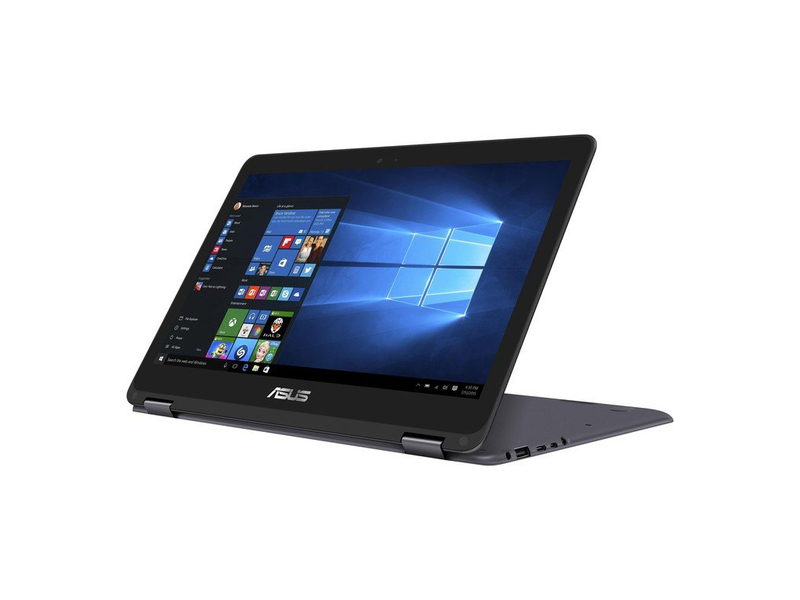 The Asus Zenbook UX51Vz-DH71 is a nice fit for anyone looking for premium looks and performance in a Windows 8 laptop who is willing to pay for it. With the MacBook Air and MacBook Pro, Apple has proven that there's a market for expensive laptops—as long as the machines feature high-end designs and top-shelf components. 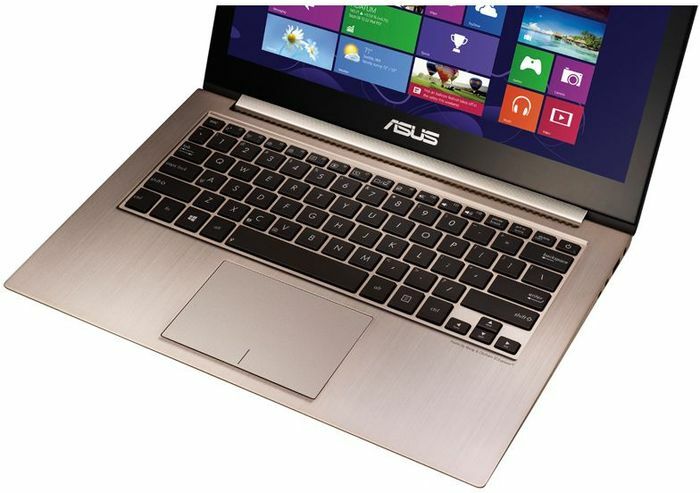 A 15.6-inch, quad-core ultrabook, the Asus Zenbook UX51VZ-DH71 wraps high-end components in a sleek aluminum shell. We love the top-notch performance and killer sound system, but the high price and lack of a touch screen give us pause. 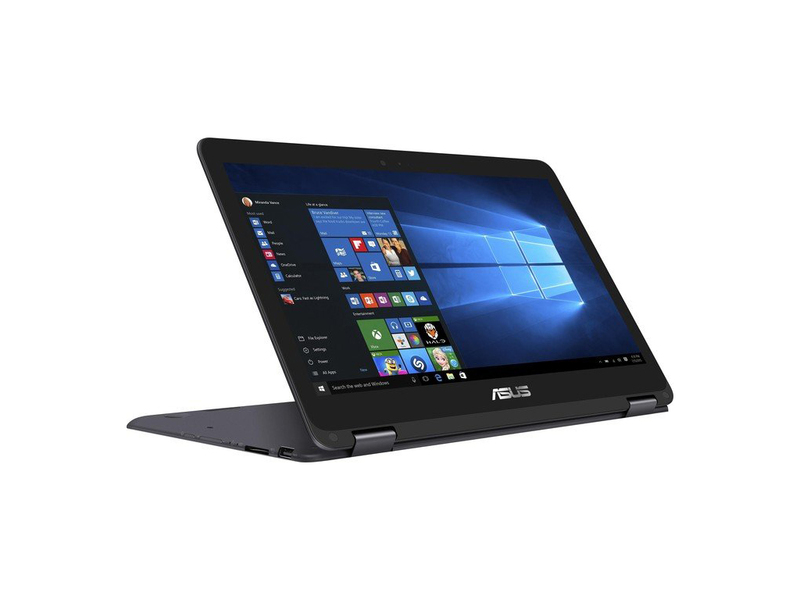 The Asus ZenBook UX51Vz-DH71 ($1,869.99 list) is a high-end ultraportable for power users like multimedia mavens and part-time gamers.Its speedy SSD RAID array, 1080p screen, Core i7 processor, beefy discrete graphics and other performance-oriented components will keep these power users happy.The Asus ZenBook UX51Vz-DH71 is a high-end ultraportable for power users like multimedia mavens and part-time gamers. 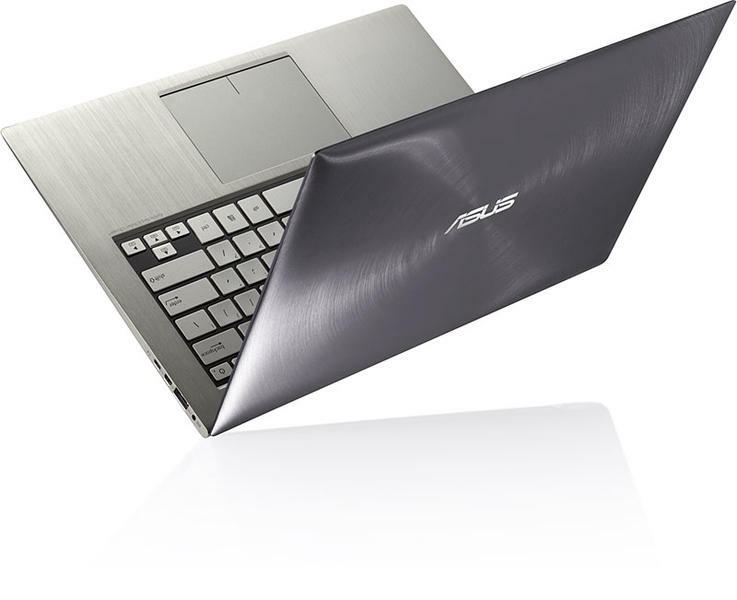 The ASUS Zenbook UX51Vz-DH71 is yet another Windows 8-powered Ultrabook computer that features an attractive aluminum design, a beautiful 1080p display and long battery life. All these great things come at a high price tag, however. Ultra-Touchbook. 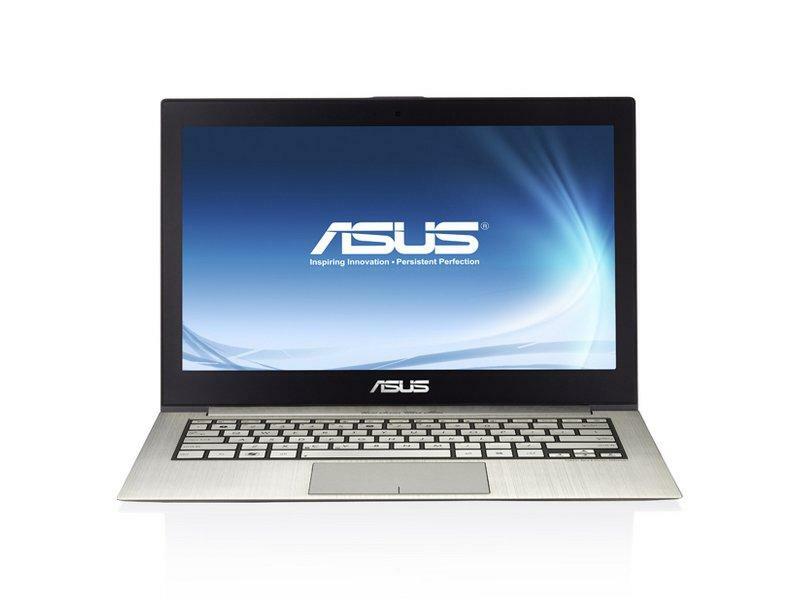 2012 hat kaum ein Gerät bei uns einen so starken Eindruck hinterlassen, wie das Premium-Ultrabook von Asus. Bei einer selten erreichten Endnote von 90 % war alles perfekt. Sogar das Display spielte auf höchstem Niveau. Bringt das Touch-Panel noch mehr Perfektion? Wer ein hochwertiges Ultrabook mit edlem Design und Touch-Display sucht, sollte sich das Asus Zenbook Prime UX31A-C4027H ansehen. Der hohen Display-Qualität, guten Ausstattung und sehr hohen Leistung steht aber eine nur befriedigende Laufzeit gegenüber. 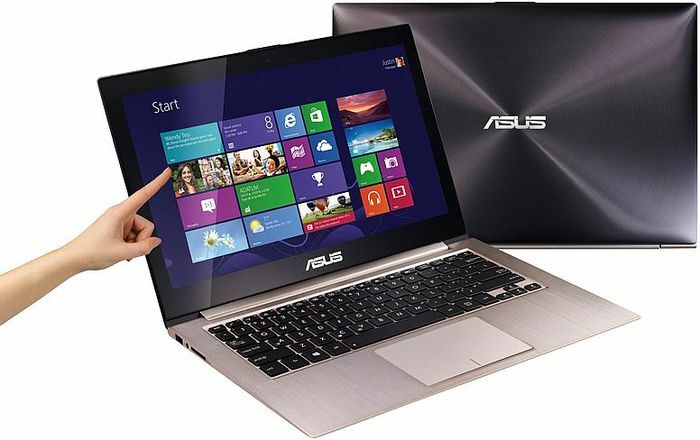 ASUS geht mit der Zeit und macht sein Premium-Ultrabook Zenbook Prime UX31A mit einem Touchscreen fit für Windows 8. Wer sich mit dem neuesten Betriebssystem aus Redmond anfreunden kann, der sollte die Version mit berührungssensitivem Display auf jeden Fall in Betracht ziehen, für alle anderen stellt die Non-Touch-Version eine interessante Alternative dar. Viel geändert hat Asus beim neuen Zenbook UX31a nicht: Statt eines matten Displays kommt bei der Neuauflage ein glänzender Touchscreen zum Einsatz. Die Modern UI von Windows 8 lässt sich mit Touch sehr gut bedienen, weshalb die Entscheidung Sinn ergibt. Wer dagegen Windows 7 und ein mattes Display bevorzugt, wird mit der Vorgängerversion glücklicher. Das ASUS Zenbook Prime Touch UX31A-C4027H schafft es, seinen gelungenen Vorgänger nochmals zu übertreffen. Die Verarbeitung und die Eingabegeräte sind erstklassig. Die Bedienung mit dem Touchscreen geht flott und leicht von der Hand und das leistungsstarke Innenleben mit pfeilschneller Festplatte und aktuellen Intel Core i7-Prozessor sorgt für genug Power. The Asus Zenbook Prime was and is the definition of a high end Ultrabook. It's still the poster child for what Intel imagined when they coined the Ultrabook term: thin, light, extremely stylish and quick. Among Windows machines, it's still hard to beat it for seriously high end styling, fit and finish, features and value. 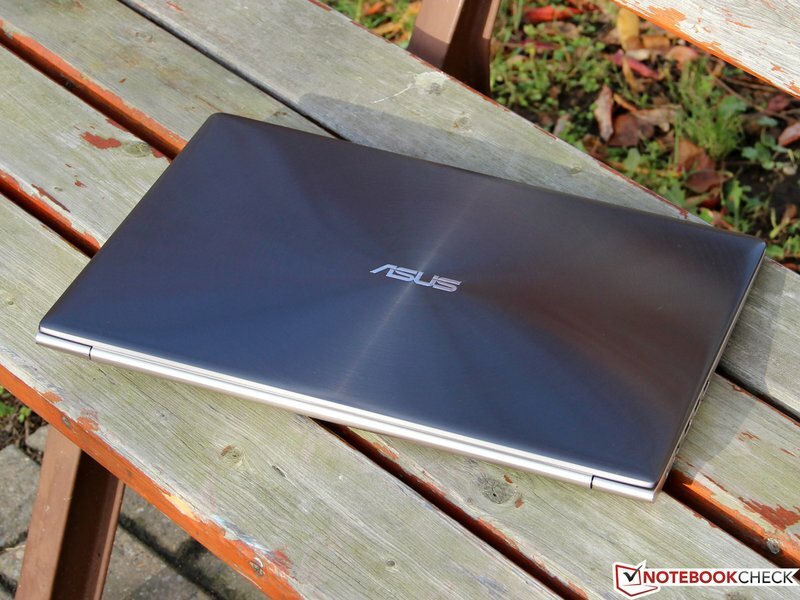 The Asus Zenbook Prime Touch UX31A-BHI5T isn’t the perfect ultrabook. Its limited storage capacity and so-so port selection are obvious shortcomings. Even with these flaws, though, it comes close to delivering a superlative Windows 8 experience. Its brilliant, touch-enabled screen, incredibly thin design, and great battery life, make it worthy of serious consideration. 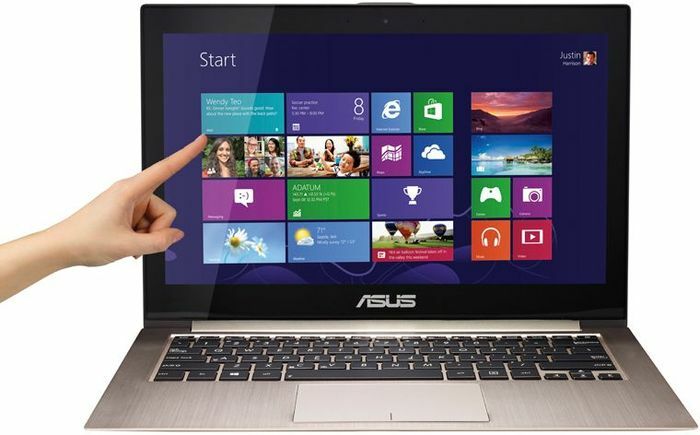 The Asus Zenbook Prime Touch UX31A-BHI5T isn't the perfect ultrabook. Its limited storage capacity and so-so port selection are obvious shortcomings. Even with these flaws, though, it comes close to delivering a superlative Windows 8 experience. Its brilliant, touch-enabled screen, incredibly thin design, and great battery life, make it worthy of serious consideration. Throw in the fact that its $1,100 price tag is on par with its competitors, and it becomes a no-brainer. This is the ultrabook to beat, and it justifiably replaces the Asus Zenbook Prime UX32VD-DB71 as our Editors' Choice award for high-end ultrabooks. Im keilförmigen Zenbook Prime UX31A-R4003H für 1.300 Euro arbeiten ein Intel Core i7-3517U. Asus stellt mit dem schönen Zenbook Prime UX31A-R4003H ein Top-Ultrabook. Es fasziniert mit extrem hochwertiger Verarbeitung, herausragendem Display, hoher Leistung, langer Laufzeit und einer fast perfekten Ausstattung. Für uns ein ganz klare Kaufempfehlung. 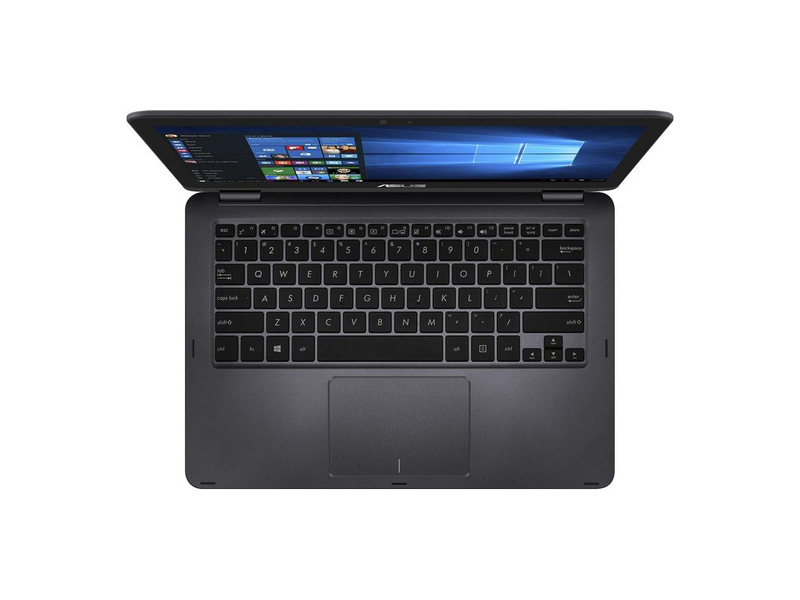 Positive: Battery life; good build quality; superb cooling system; good touchpad and backlit keyboard; high-resolution display. Negative: Very glossy screen. In fact, there are only two areas in which the UX31A falls behind, the first of which is battery life. Even here, though, the Asus is far from awful: in our light-use benchmark it managed 7hrs 11mins, which isn't amazing but still perfectly respectable. 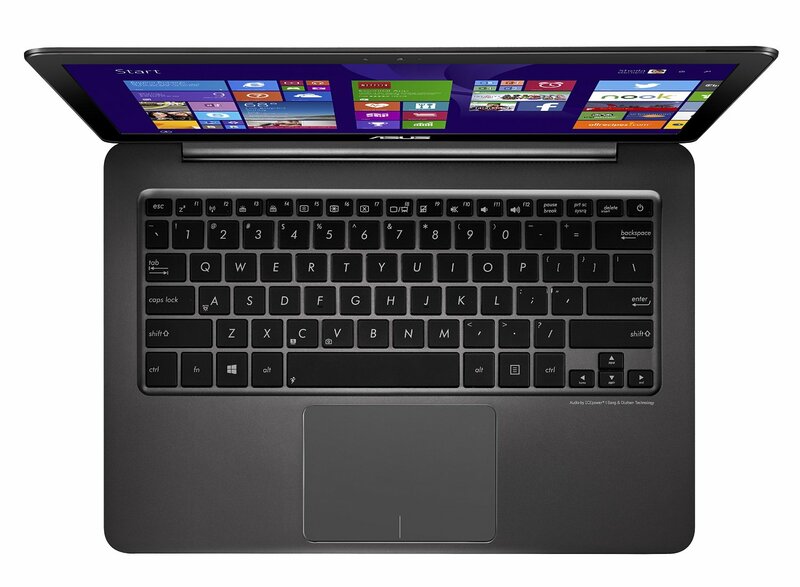 In the end, however, the main gripe we have with the Zenbook Touch UX31A is its price. It performs well in every category, and it's drop-dead gorgeous to boot, but at £1,500 it's simply too expensive to recommend. 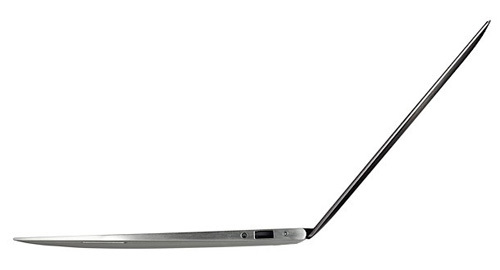 For our money, the Lenovo Yoga Pro 2 and Dell XPS 12 are by far better buys. The Asus Zenbook UX305FA-ASM1 may be extremely thin and feather-light, but an ultraportable laptop can't get by on those aspects alone. Even when stacked up against systems that are similarly slim, the Zenbook UX305FA falls short, due in large part to its Intel Core M processor. That's a difference that outweighs svelte design, so the Apple MacBook Air 13-inch remains our top pick for midrange ultraportables. 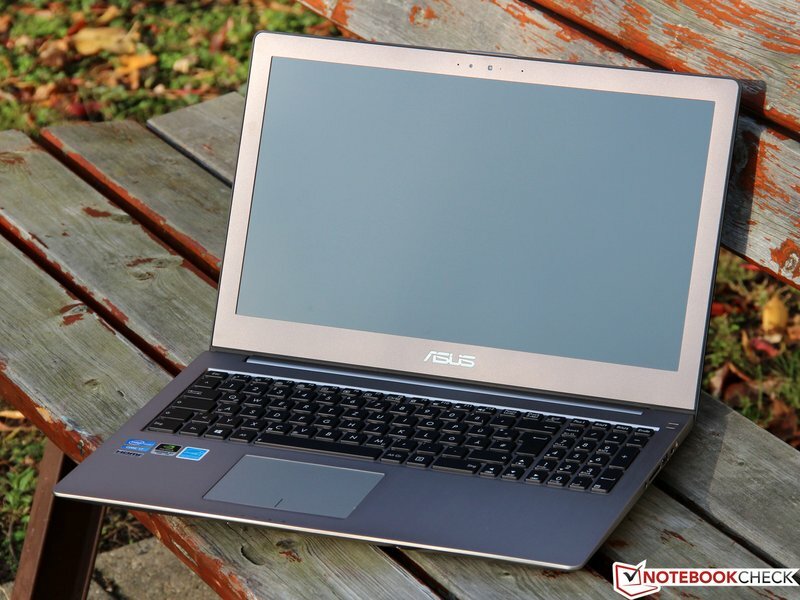 As we noted early on in this article, we didn’t expect the Asus Zenbook UX305 to be a benchmark-burning powerhouse of a system. It has moderate, but still very respectable specifications. Because it’s not a powerhouse system, it also has a relatively affordable price tag of $700, given its sleek form factor and strong battery life. 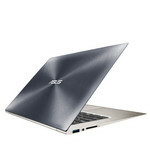 Asus Zenbook UX360UA-C4159T Asus Zenbook UX360UA-C4159T ist ein 2-in-1 laptop, der die Eleganz und Raffinesse eines Zenbooks mit dem Komfort eines 360 Grad drehbaren Displays kombiniert.Der Laptop ist auf das Mid-Range-Marktsegment ausgerichtet und ist für die alltäglichen Erfordernisse durchschnittlicher Benutzer geeignet. Das Chassis ist aus einem einzelnen Aluminium-Block gefertigt und auf eine 13.9mm Dicke getrimmt. Der erste Eindruck, wenn man auf das Notebook blickt ist, dass es ein schlankes, stylishes und raffiniertes Gerät ist. Das Scharnier hat einen präzisionsgefertigten Metall-Mechanismus, der es dem Benutzer erlaubt den Laptop auf verschiedene Weise zu verwenden, während der Display sicher im Scharnier gehalten wird. Das Betriebssystem Microsoft Windows 10 Home edition ist vorinstalliert. Es gibt einen 13.3-Zoll Touchscreen, der 1920x1080 Pixel Auflösung schafft. 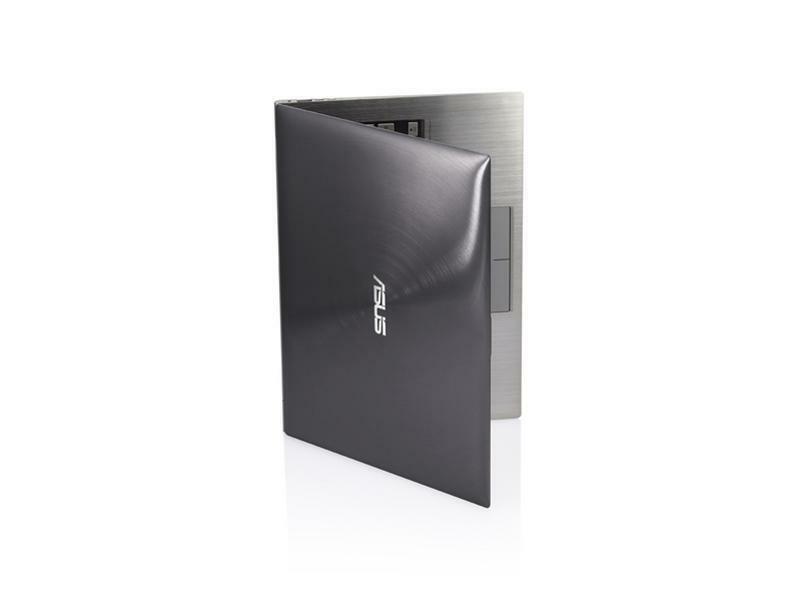 Der Bildschirm nutzt die ASUS Splendid Technology, eine Technologie, die die Wiedergabe von Multimedia-Inhalten einerseits durch Geräuschreduktion optimiert, andererseits schärfere, plastischere Bilder mit verbesserter Helligkeit, Kontrast, Farbsättigung und Farbtiefe wiedergibt. Internet-Browsen, Multimedia-Wiedergabe und andere Aufgaben sind ausreichend möglich. Auf der Tastatur kann gut getippt werden, ähnlich wie auf einer Standard-Laptop-Tastatur. Der Tastenhub ist in etwa der Gleiche wie beimAsus UX305. Allerdings biegt sich auch das Gehäuse wie beim UX305, wenn die Tastatur gedrückt wird. Das kann durchaus stören und zeugt von schlechter Verarbeitung. Die Tastatur wird übrigens automatisch gesperrt, wenn in den Tablet-Modus umgeschalten wird. Das Touchpad nutzt die ASUS Smart Gesture Technologie, die dem Nutzer ein natürlicheres und intuitiveres Gefühl gibt. Ferner ist es sensitiver, genauer und unterstützt Microsoft Windows Gesten. Ähnlich wie bei der Tastatur wird das Touchpad im Tablet-Modus automatisch blockiert. 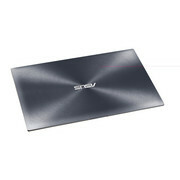 Das Asus Zenbook UX360UA-C4159T ist mit dem neuesten 802.11ac Wi-Fi ausgestattet. Das ermöglicht Geschwindigkeiten von bis zu 867Mbps, was drei mal schneller als ältere Wi-Fi Generationen ist. Das Notebook unterstützt auch Intel WiDi Technologie. Dadurch können Filme, Musik, Fotos und Spiele zu TV-Geräten gestreamed werden, die WiDi-kompatibel sind oder es kann der Fernseher als zweiter Bildschirm für Multitasking auf größerer Bildfläche genutzt werden. Die Ausstattung inkludiert zwei USB 3.0 Anschlüsse, einen USB-C Gen 1, der bis zu 5Gbps unterstütz, einen HDMI-Anschluß, SD-Karten-Leser und einen Combo-Audio-Ausgang. Der Nachteil dieses Laptops ist der Lüfter, der etwas zu aggressiv ist, aber das mag am dünnen Profil liegen, das nicht gerade effizient Wärme ableitet. Der Akku soll laut Asus 8 Stunden und 45 Minuten durchhalten bei gemütlichem Internet-Surfen über Wi-Fi. Alles in allem bietet das Gerät passable Mid-Range Spezifikationen und wird Kunden ansprechen, die etwas Arbeit und Spiel unterwegs mit der Mobilität eines Laptops und Tablets nutzen wollen. Seine Haupt-Konkurrenten sind Lenovo Yoga 900 und HP Pavilion x360, allerdings sind diese Modelle etwas teurer und nicht so gut ausgestattet wie das UX360UA-C4159T. Wir haben uns auf vor Ort auf der Computex die beiden ZenBook Flip-Modelle geschnappt und das aktuelle Gerät mit der Modellbezeichnung UX360CA mit dem UX360UA verglichen. Grundsätzlich zeichnet sich die Modellreihe durch das um 360 Grad drehbare Scharnier aus, dadurch lässt sich das Display nach hinten klappen und als Quasi-Tablet nutzen. Das Asus Zenbook UX330UA konnte im Test voll überzeugen. Wer einen ebenso schicken wie leistungsstarken Mini-Begleiter sucht, liegt mit diesem Zenbook richtig. 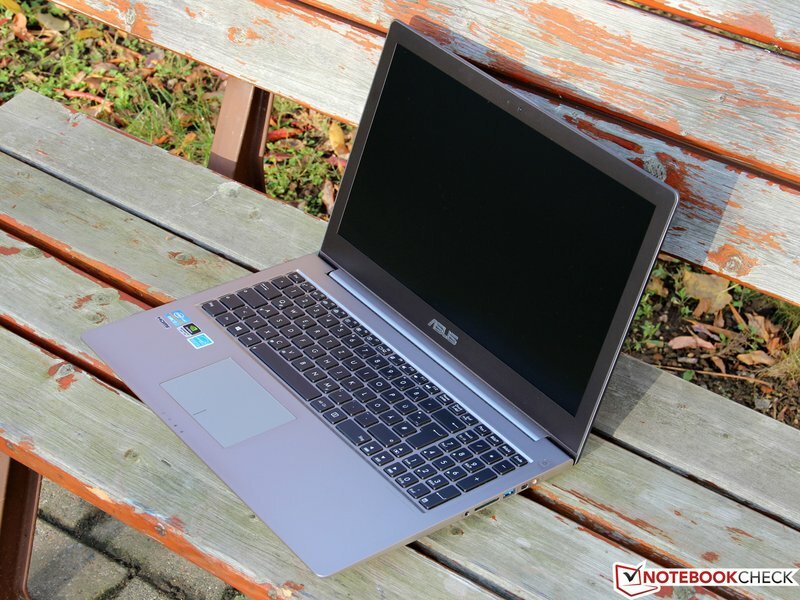 Als Herzstück dient unserem Asus Zenbook ein leistungsstarker Intel-Core-i7-6500U-Prozessor ... Die Verarbeitung überzeugt, und mit 1,2 kg trägt der stolze Besitzer auch sehr leicht. ... Helligkeit und Kontrast sind gut und Spiegelungen sehr gering. Viel Platz für externe Anschlüsse bleibt bei der kompakten Bauweise leider kaum. Sehr erfreulich ist die gute Ausdauer des Asus Zenbook. Das 13,3-Zoll-Display könnte ... etwas heller sein, denn trotz der Entspiegelung lässt es sich bei Sonnenlicht nur schlecht damit arbeiten. ... Für die sehr guten Leistungswerte sorgen ein Core i7-6500U, 8 GByte RAM und eine 256-GByte-SSD (474,2 MByte/s). ... Schnell genug für einfache Spiele und Browser-Games sowie die meisten Business-Anwendungen. 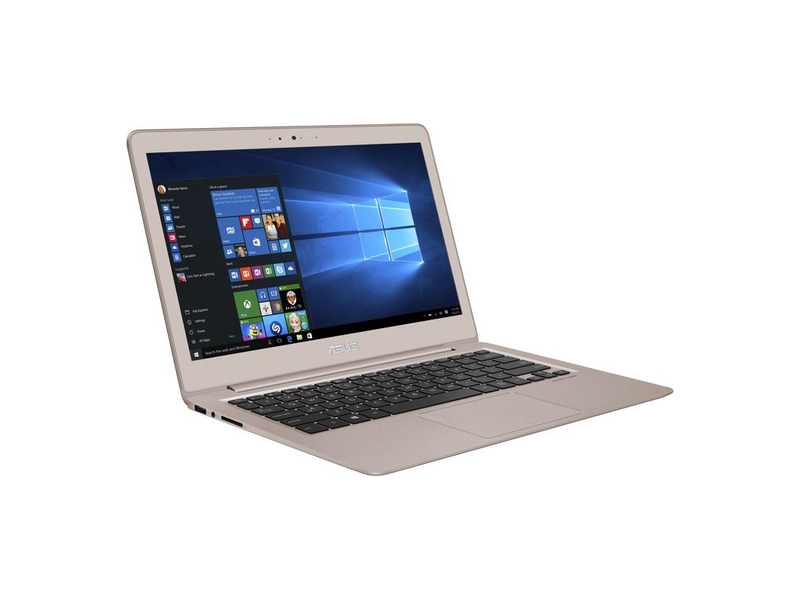 Seine gute Mobilität beweist das 1,21 kg leichte Zenbook beim Akkutest. 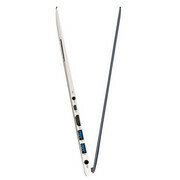 Pro: hochwertig verarbeitetes 13-Zoll-Ultrabook; leistungsstarker Core-i7-Prozessor; sehr schlanke Bauform; geringes Gewicht; sehr hohe Ausdauer; drei schnelle USB-Schnittstellen; Schutzhülle im Lieferumfang; gutes Preis-Leistungs-Verhältnis. Contra: Lüfter sehr häufig im Betrieb; im Vergleich schlechtere Ausstattung; Displaydeckel nicht übermäßig stabil. So gut die Spezifikationen des Notebooks auch klingen, gibt es aber dann doch einige negative Punkte. Auch hier besteht das Problem, dass der Power-Knopf als Bestandteil der Tastatur bei einem unbeabsichtigten Betätigen ohne weitere Nachfragen den Ruhezustand einläutet. Und auch die Stabilität ist noch nicht optimal. Reviewing the ZenBook 330UA has been something of an emotional rollercoaster. First impressions are excellent, and the design is immediately arresting. Once we started using it, however, it became clear that Asus has cut some corners regarding the quality of the materials. 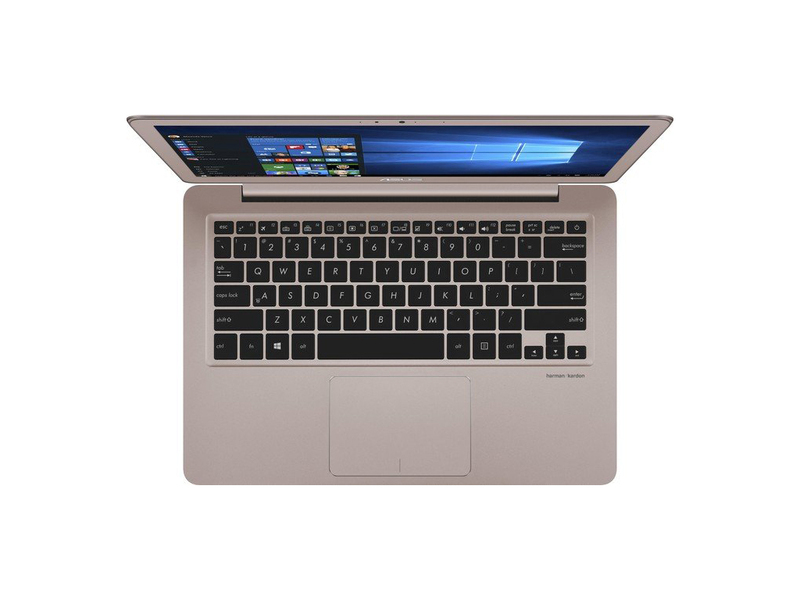 If you’re looking to spend around £800 on the most powerful ultraportable you can buy then the Lenovo IdeaPad 710S is a much better deal. 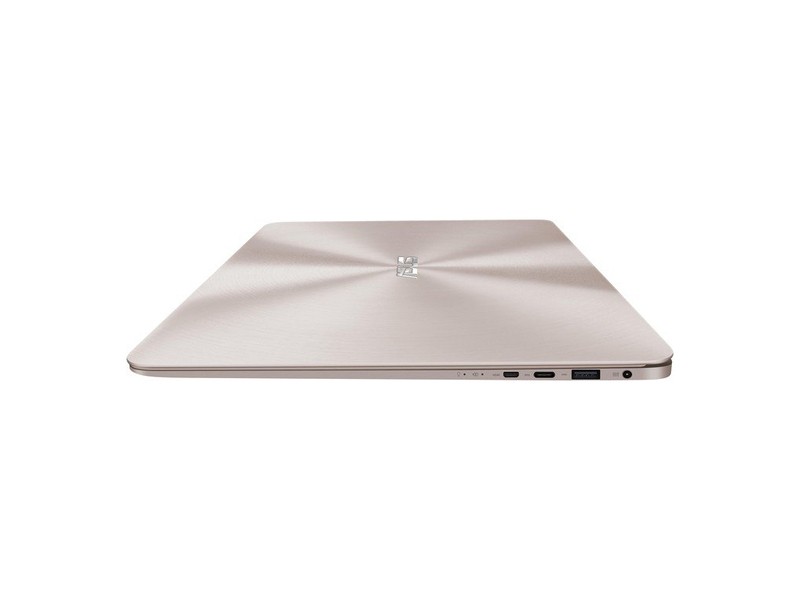 If you want premium build, go for the Dell XPS 13 or MacBook Air, which cost the same for a lesser specification but make up for it with wonderful design. 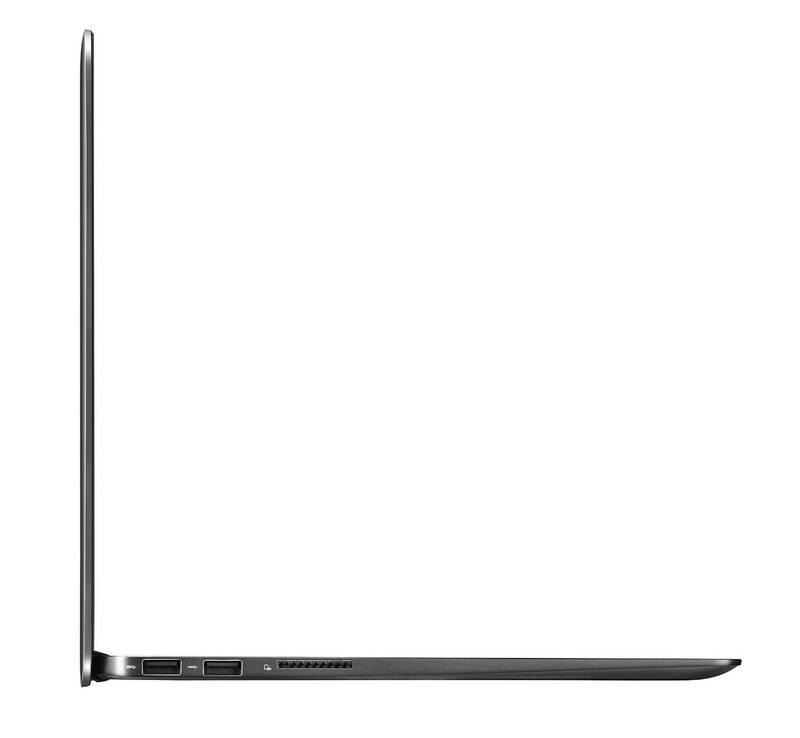 The ZenBook UX330UA is undoubtedly cheaper than most of its premium rivals, but at its current pricing it’s £100 more expensive than the fantastic Lenovo IdeaPad 710S. 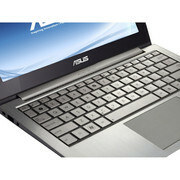 The Zenbook UX330 checks most of the right boxes and like most Asus laptops, is not very expensive. It gets the look, the craftsmanship, the keyboard, the performance and the battery life expected from such a computer, but certain aspects like the screen, trackpad and cooling fan could use more tweaking. Overall though, this is a solid pick if looking for a compact notebook with a matte screen and premium aspirations. Positive: Metal case; slim size and lightweight; long battery life; good autonomy. Negative: Relatively high price. Intel HD Graphics 4000: In Ivy Bridge Prozessoren (3. Generation Core) integrierte Grafikkarte in höchster Ausbaustufe. Je nach Prozessor (ULV bis Desktop Quad-Core) unterschiedlich getaktet.Intel HD Graphics 4400: In den Haswell-Prozessoren (4. Generation Core) integrierte Grafikkarte in mittlerer Ausbaustufe (GT2). Je nach Prozessor unterschiedlich getaktet.Intel HD Graphics 5300: Integrierte Grafikkarte (GT2), welche in einigen Core-M-CPUs (Broadwell, 4,5 Watt TDP) verbaut wird.Diese Karten können nur sehr alte und sehr anspruchslose 3D Spiele flüssig darstellen. Anwendungen wie Office, Internet surfen, Bildbearbeitung oder (SD) Videoschnitt sind jedoch ohne große Einschränkungen möglich. Intel HD Graphics 3000: In Sandy Bridge Prozessoren (Core ix-2xxx) integrierte Grafikkarte von Intel. Stärkere GT2 genannte Version mit 12 Execution Units (EUs). Je nach Modell mit unterschiedlichen Taktraten (350-650MHz) und TurboBoost Unterstützung (900-1350MHz).Diese Klasse ist noch durchaus fähig neueste Spiele flüssig darzustellen, nur nicht mehr mit allen Details und in hohen Auflösungen. Besonders anspruchsvolle Spiele laufen nur in minimalen Detailstufen, wodurch die grafische Qualität oft deutlich leidet. Diese Klasse ist nur noch für Gelegenheitsspieler empfehlenswert. Der Stromverbrauch von modernen Grafikkarten in dieser Klasse ist dafür geringer und erlaubt auch bessere Akkulaufzeiten. NVIDIA GeForce GT 650M: Stärkster GT Chip der 600M Serie und daher eine sehr schnelle Mittelklasse Grafikkarte basierend auf den GK107 Chip.Intel HD Graphics 520: Integrierte Grafikkarte (GT2), welche in einigen Skylake-CPUs (ULV-Modelle, 15 Watt TDP) verbaut wird.» Weitere Informationen gibt es in unserem Notebook-Grafikkartenvergleich und der Benchmarkliste. 5Y10: Auf der Broadwell-Architektur basierender, sehr sparsamer ULV-SoC (System-on-a-Chip) für lüfterlose Tablets und 2-in-1-Notebooks. Integriert unter anderem zwei CPU-Kerne sowie eine Grafikeinheit und wird in 14-Nanometer-Technik gefertigt. 81.58%: Diese Bewertung muss man eigentlich als durchschnittlich ansehen, denn es gibt etwa ebenso viele Notebooks mit besseren Beurteilungen wie Schlechteren. Die Verbalbeurteilungen klingen aber oft besser als sie wirklich sind, denn richtig gelästert wird über Notebooks eher selten. Obwohl dieser Bereich offiziell meist einem "Befriedigend" entspricht, passt oft eher "mäßiger Durchschnitt".» Lesen Sie auch unsere Notebook-Kaufberatung.